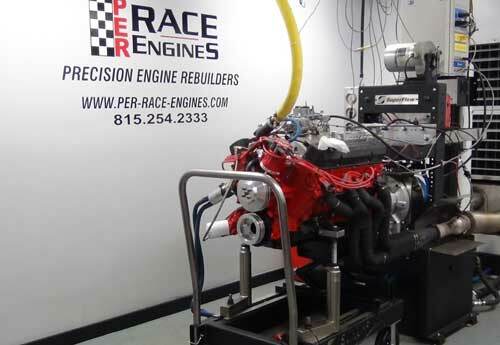 Precision Engine Rebuilders (PER) was opened in March, 1993 by owner Randy Crowley and wife, Lisa. We started out supporting the local parts stores, service stations and car dealerships. 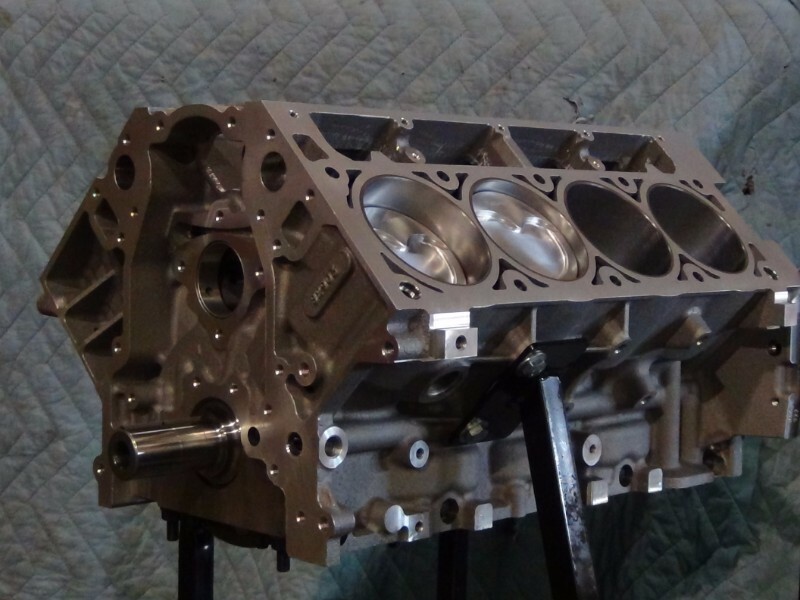 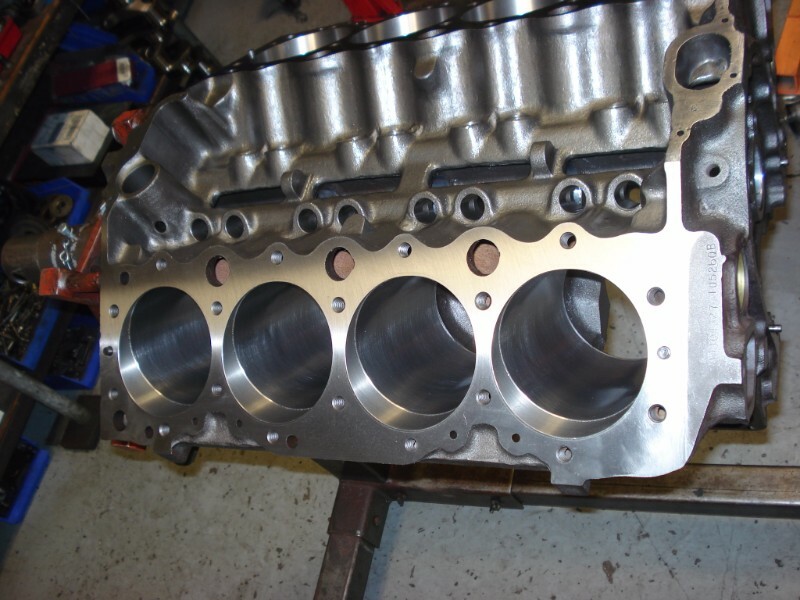 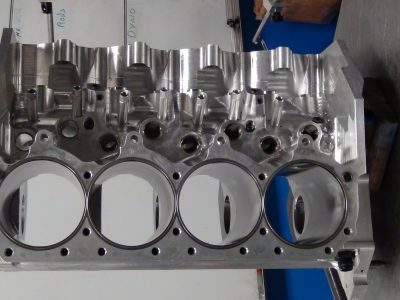 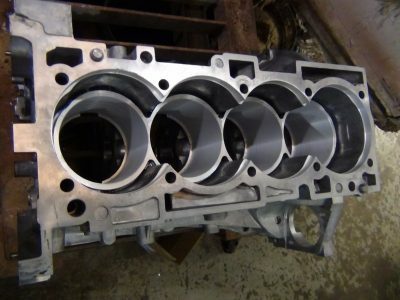 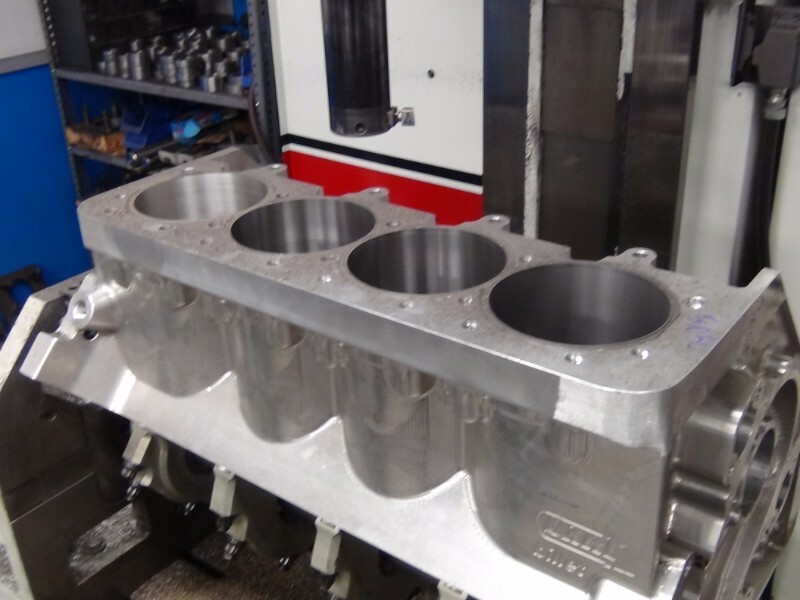 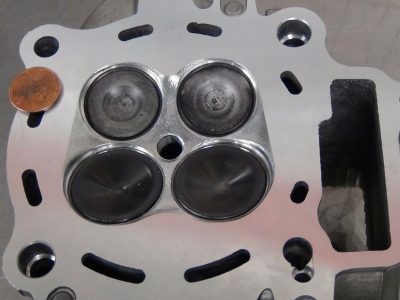 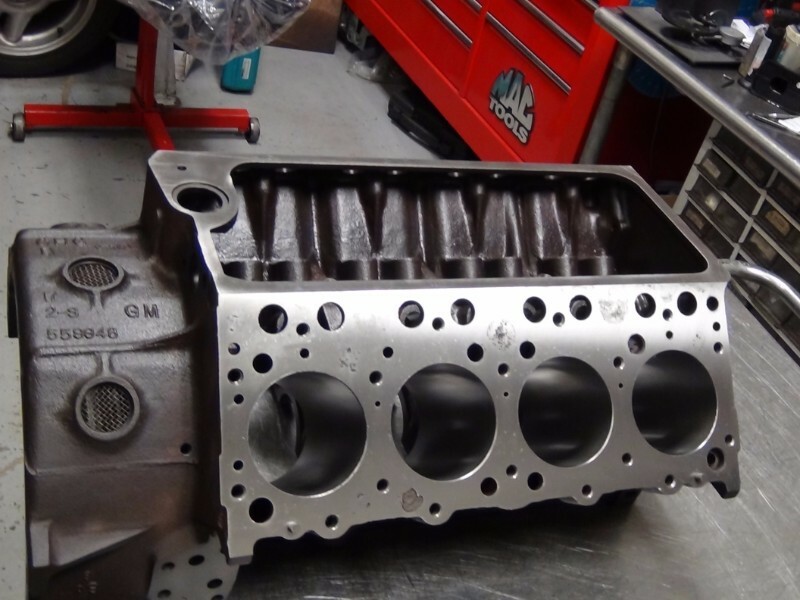 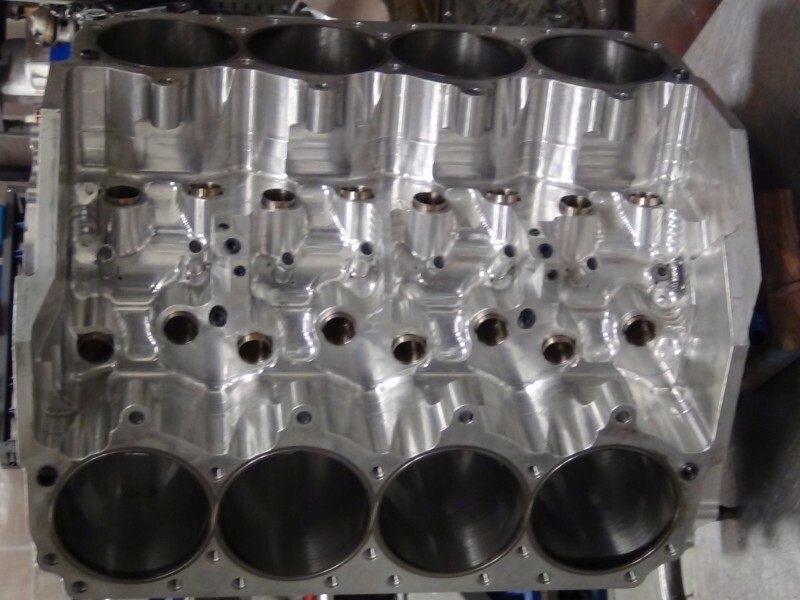 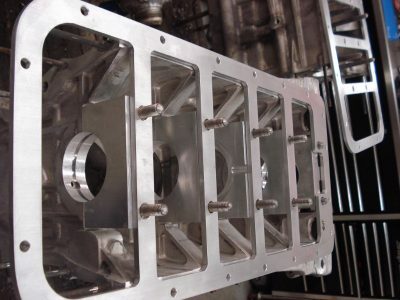 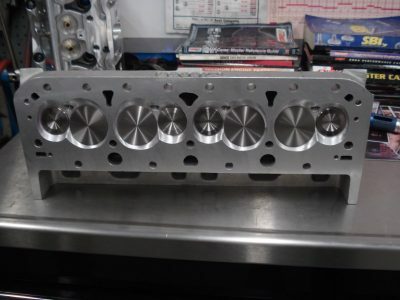 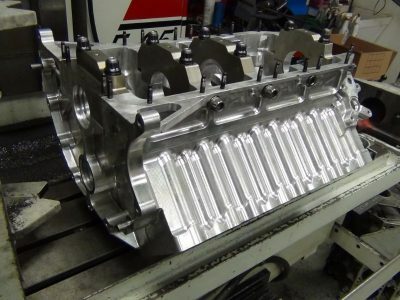 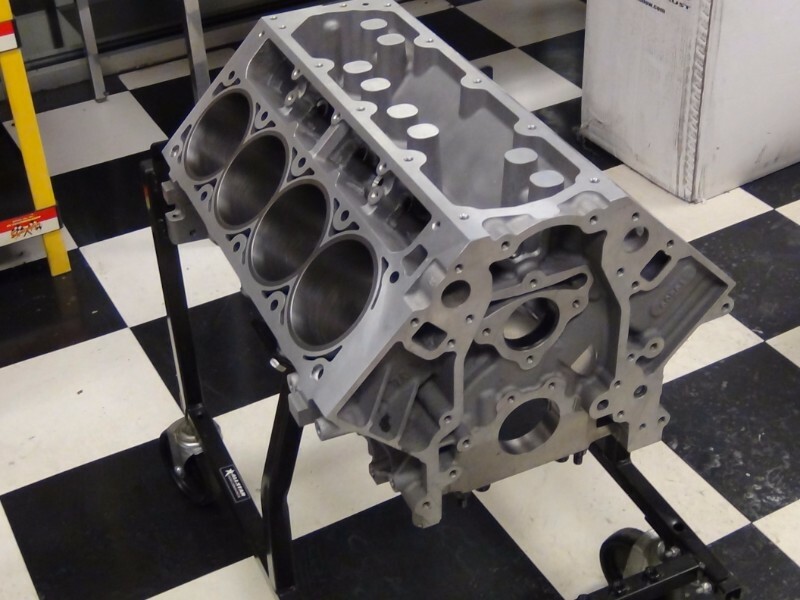 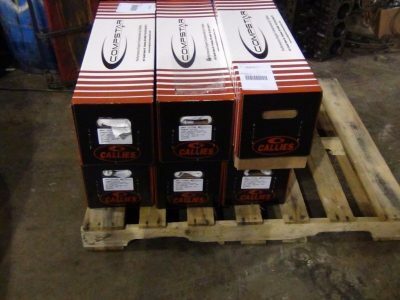 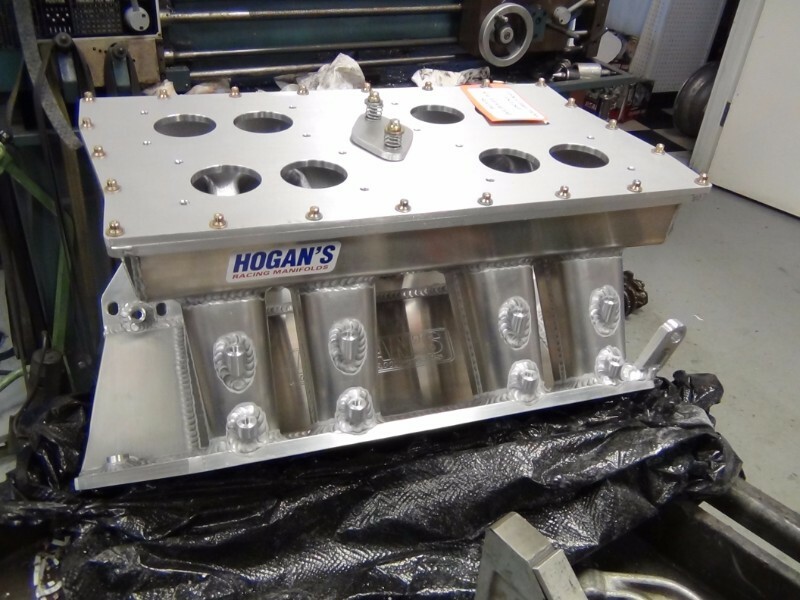 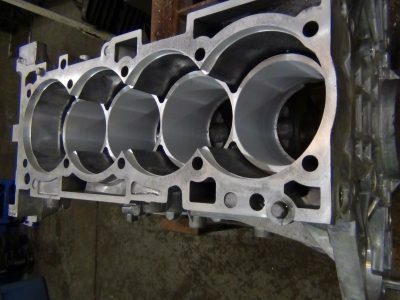 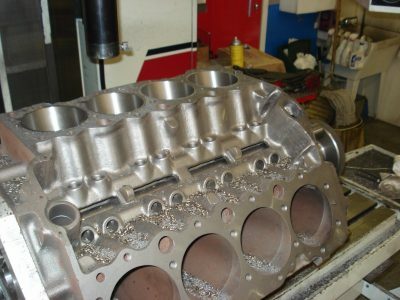 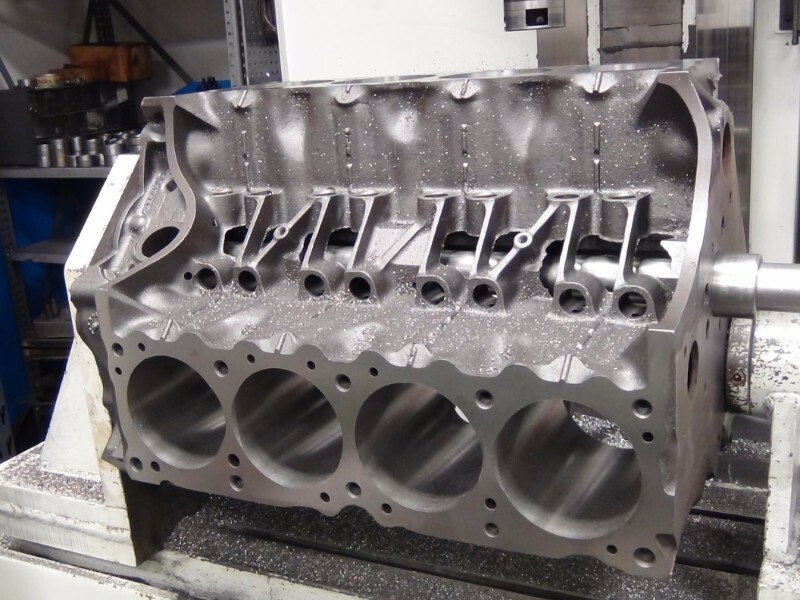 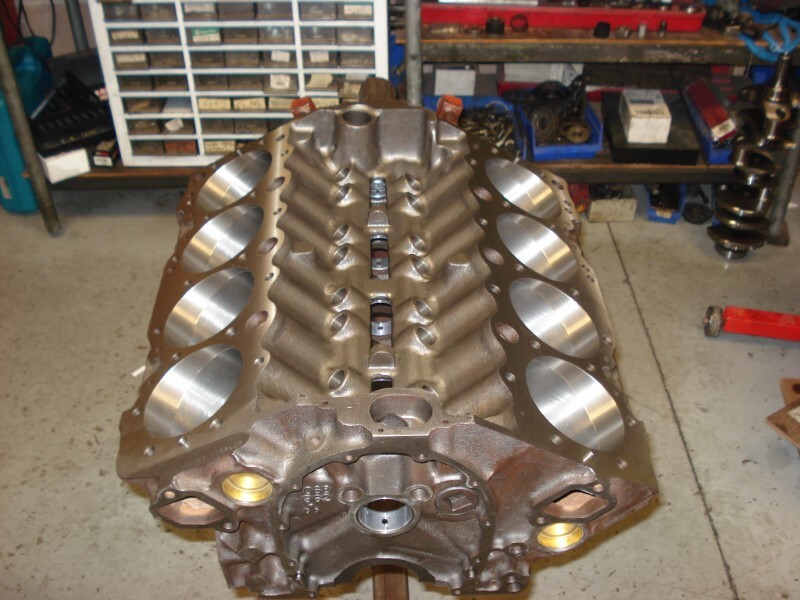 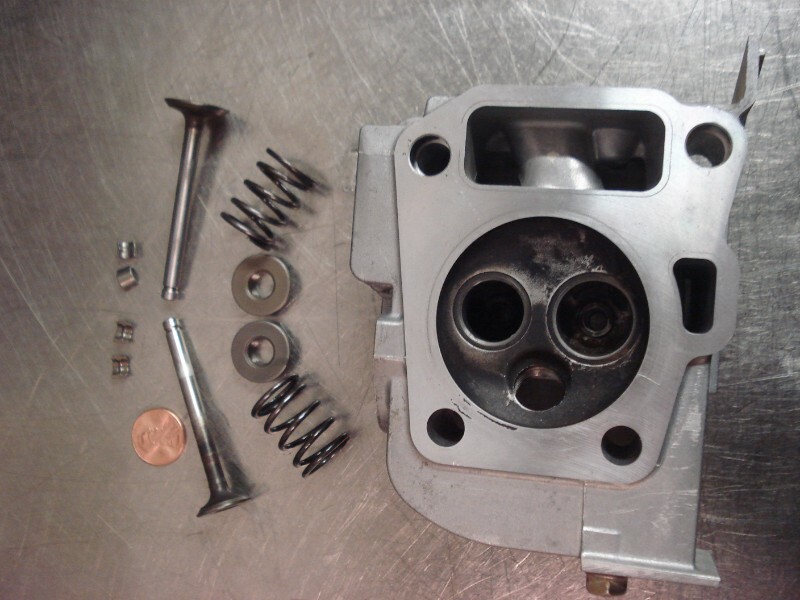 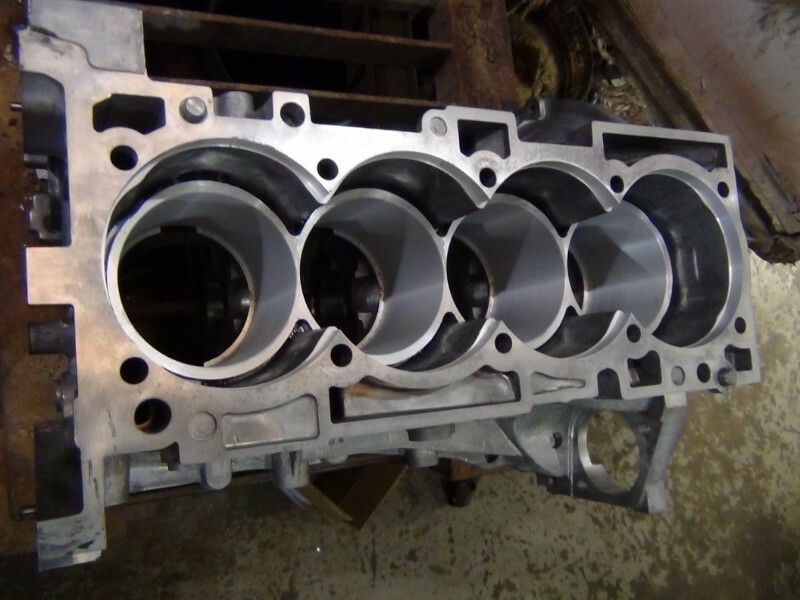 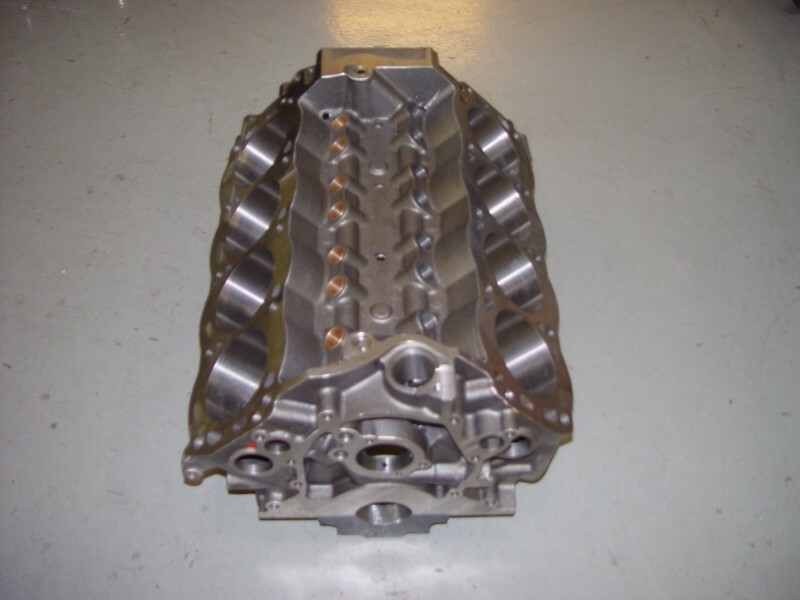 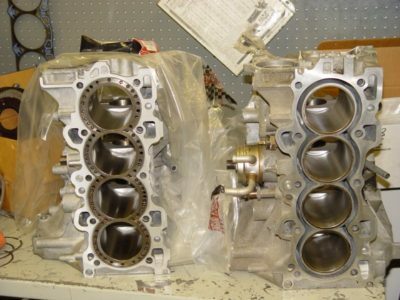 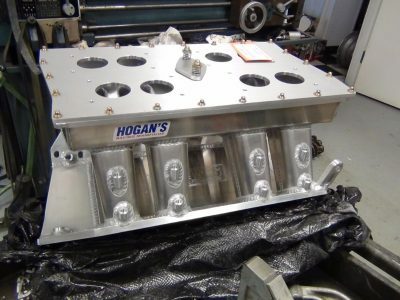 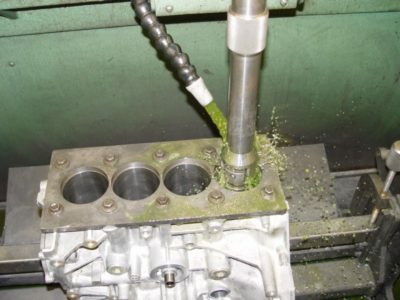 We specialize in aluminum cylinder heads. Due to our exceptional service and good customers, we have grown to where we are today. 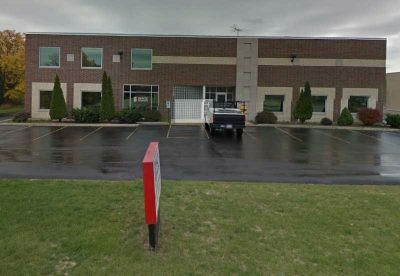 We moved in June 2000 into a new building. 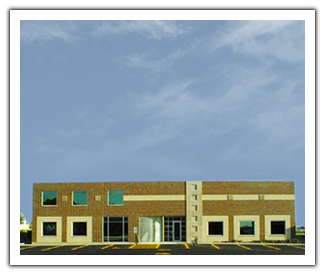 Our new facility contains 6,000 square feet, which is triple our original shop area. This allows us room for expansion. 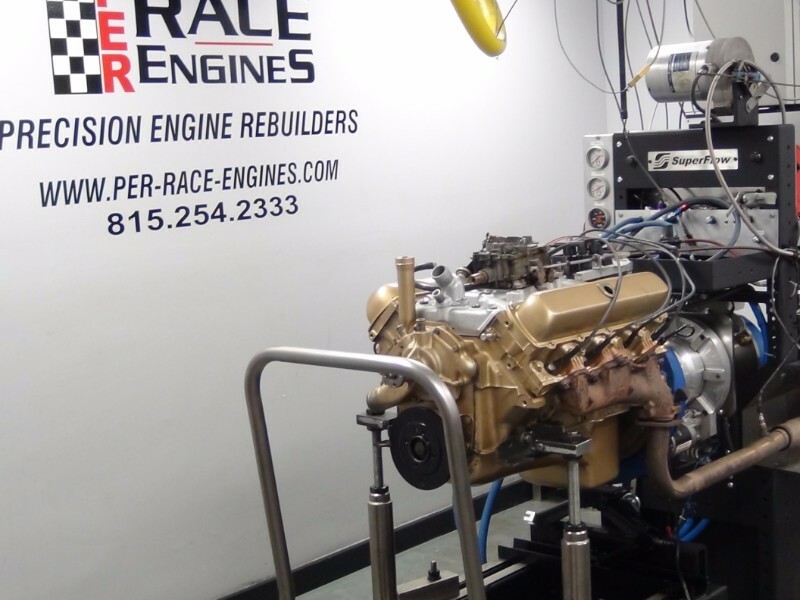 An engine dyno room is just one of many additions. Best of all, the new facility is across the street from our original shop. This is what we use to machine blocks. 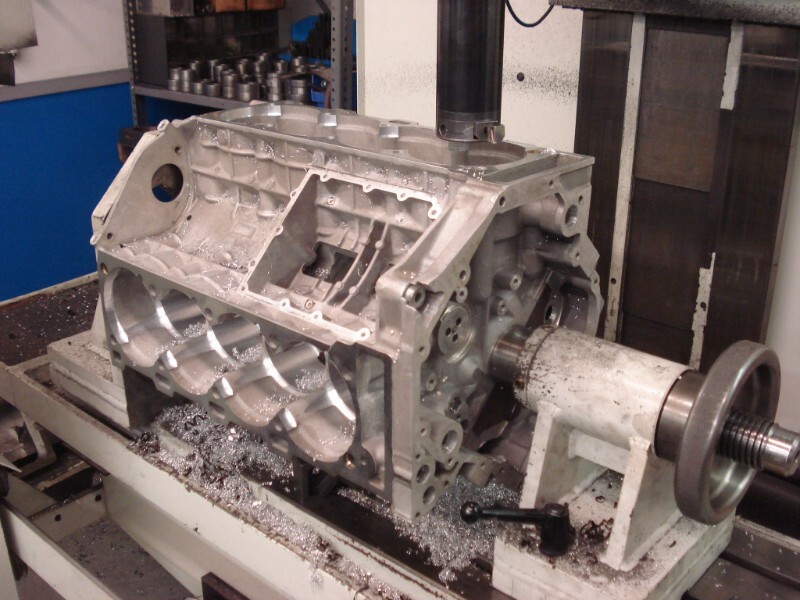 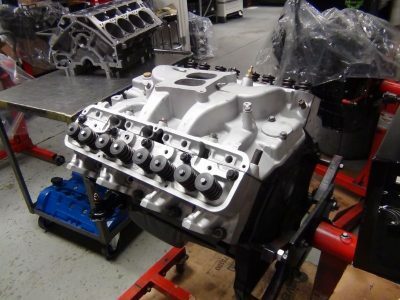 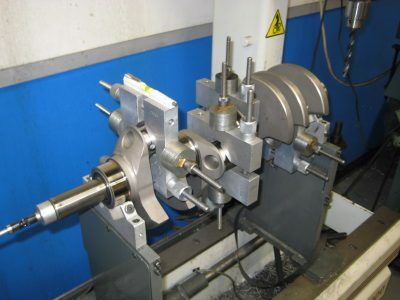 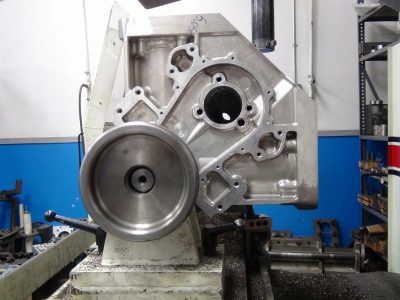 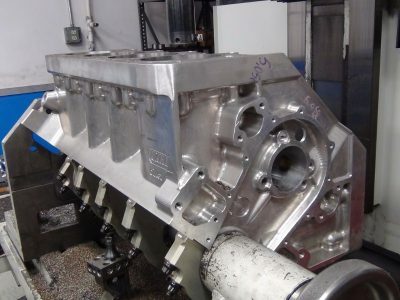 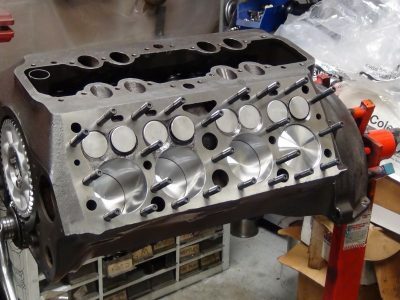 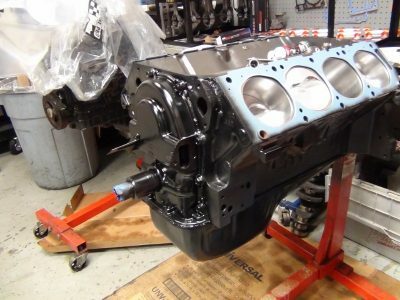 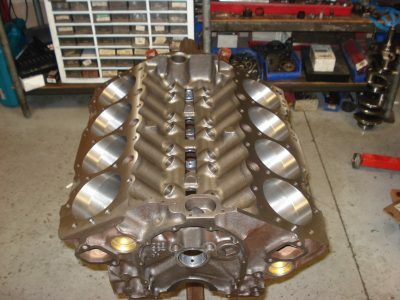 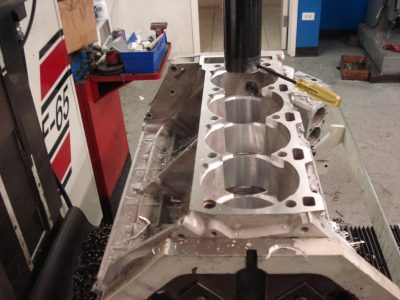 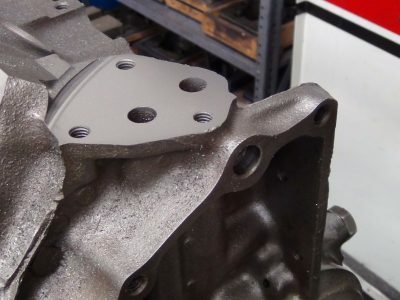 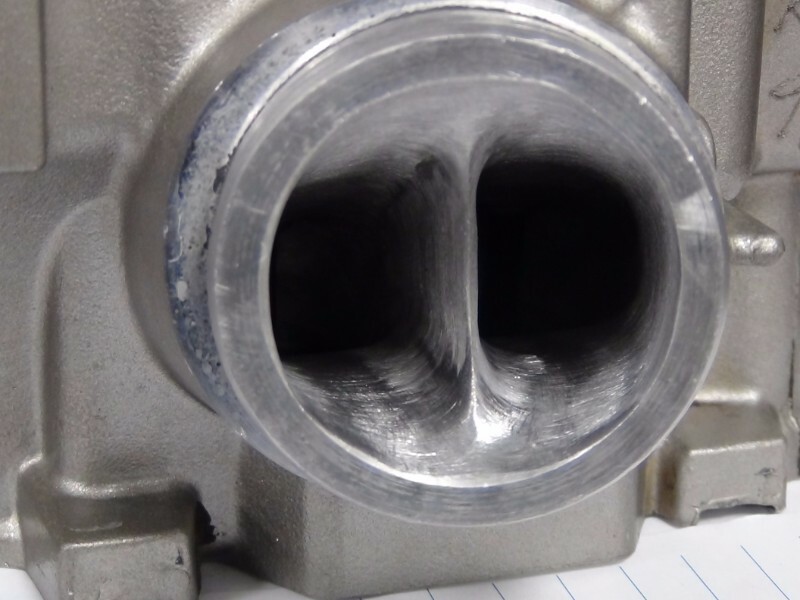 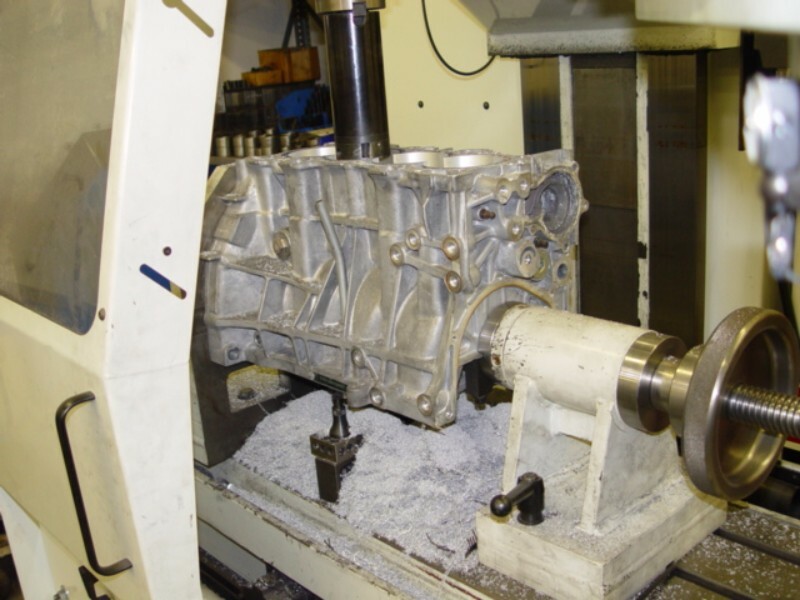 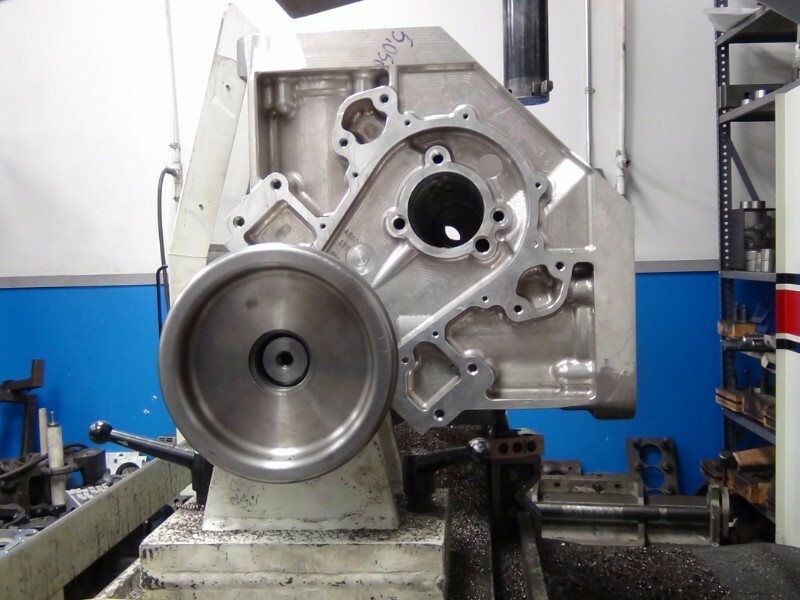 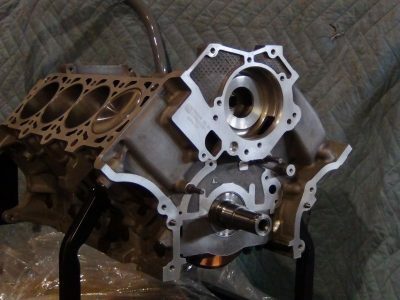 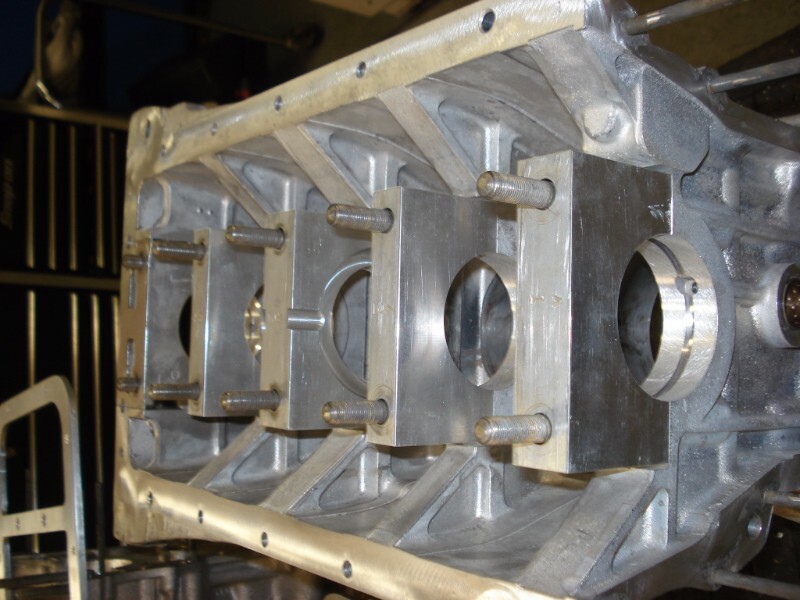 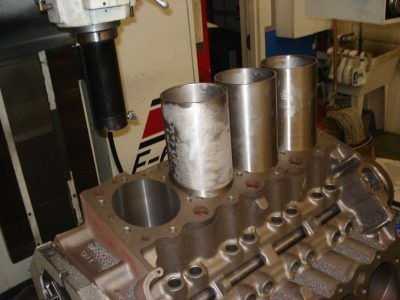 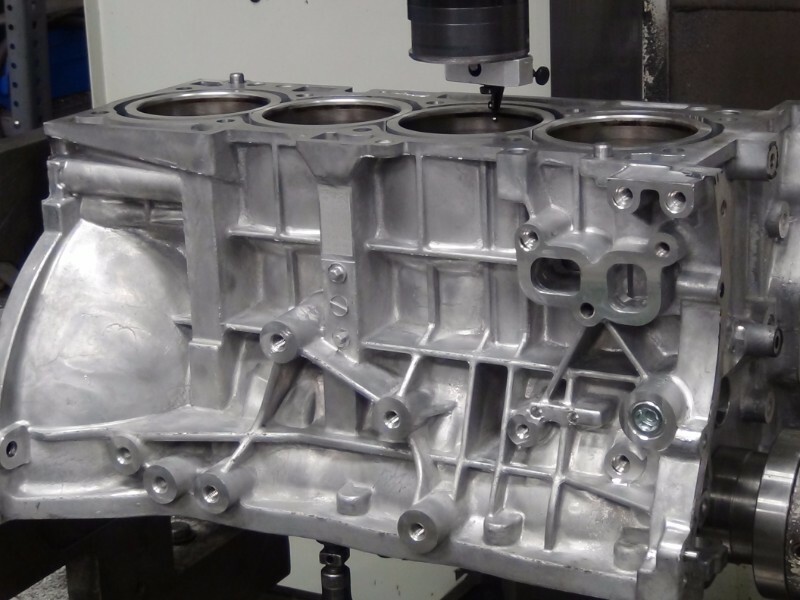 The block is held by the main bores and indexed with the cam bores. 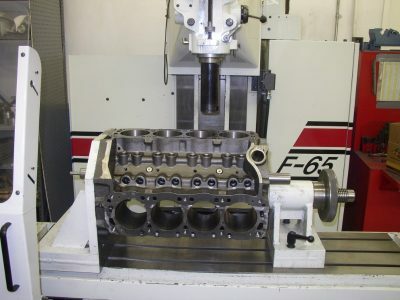 By doing this the deck is kept parallel to the main bores and the cylinder bores are perpendicular to the main bores. 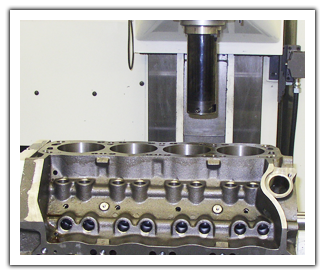 We can follow a true blue print or we can easily program the machine to meet our specific needs. 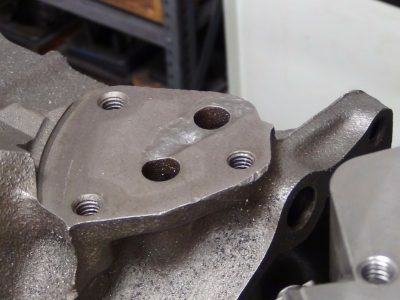 It handles boring, decking, o-ringing, sleeving, lifter bores, and line boring. 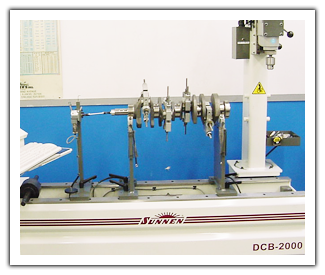 We use this machines not for mass productions, but to ensure high quality and accuracy. 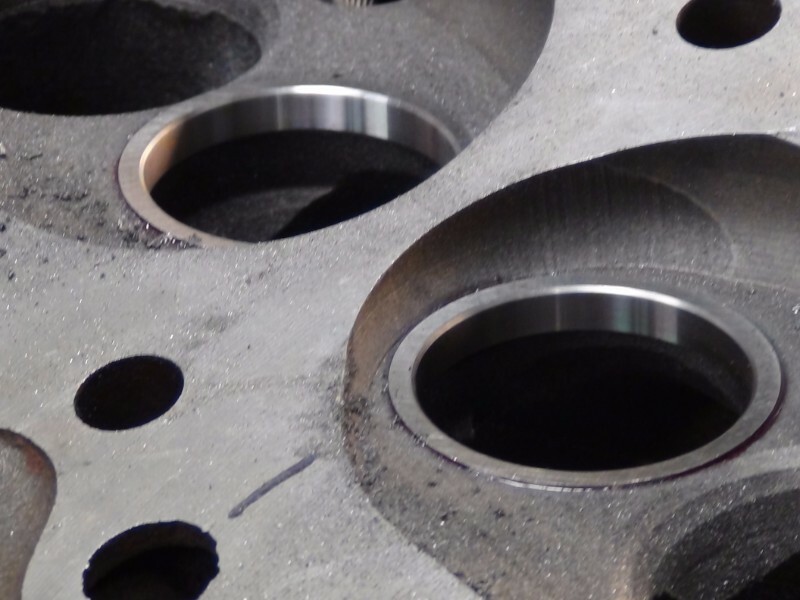 The machining of the cylinder walls is a key component of the engine and the Rottler HP5A at PER handles the duties. 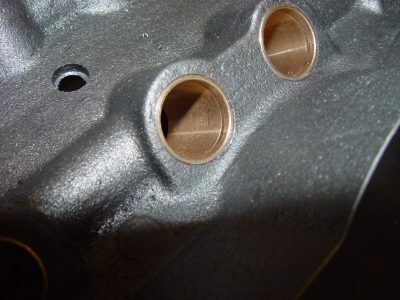 It is run with diamond abrasives to give a more accurate cylinder wall. 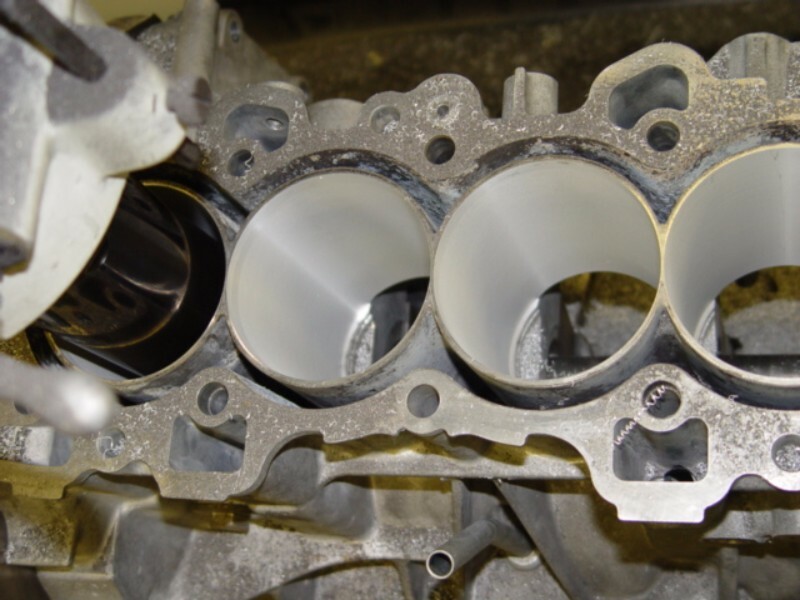 During the process we use synthetic coolants that keep the heat down and help keep the block from expanding. 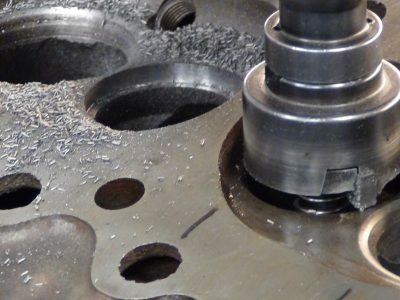 By using the diamond abrasives, the task of honing hard cylinders is less challenging and as a result more accurate. 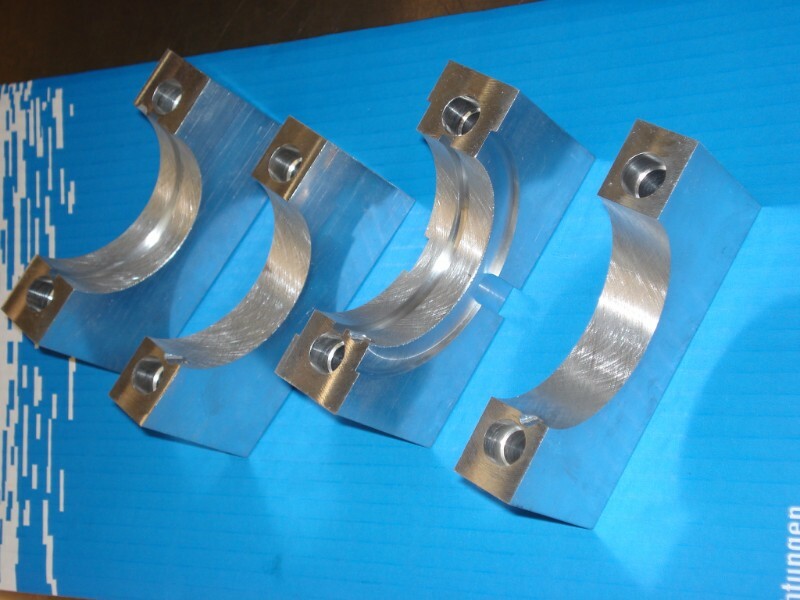 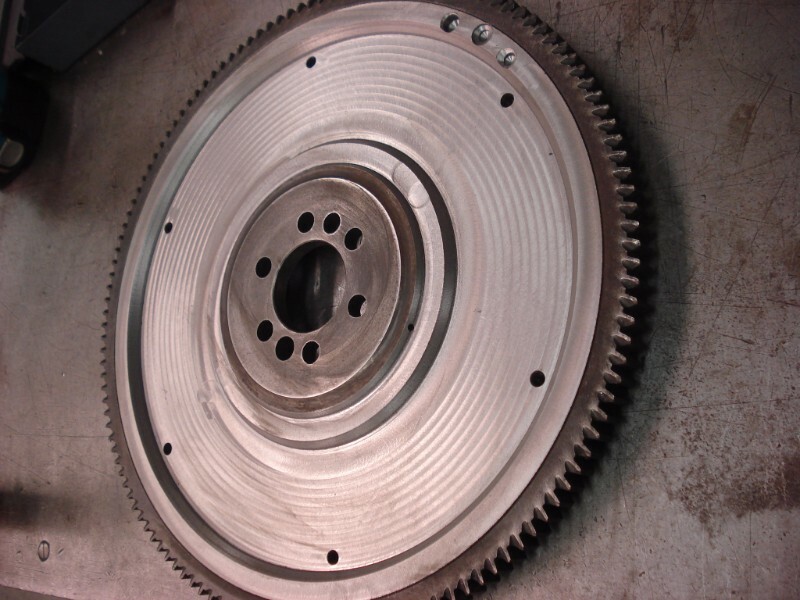 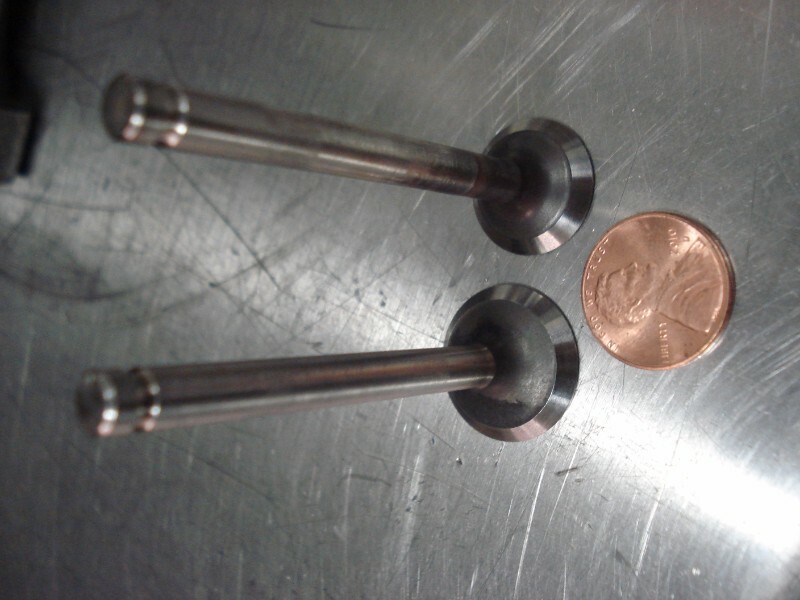 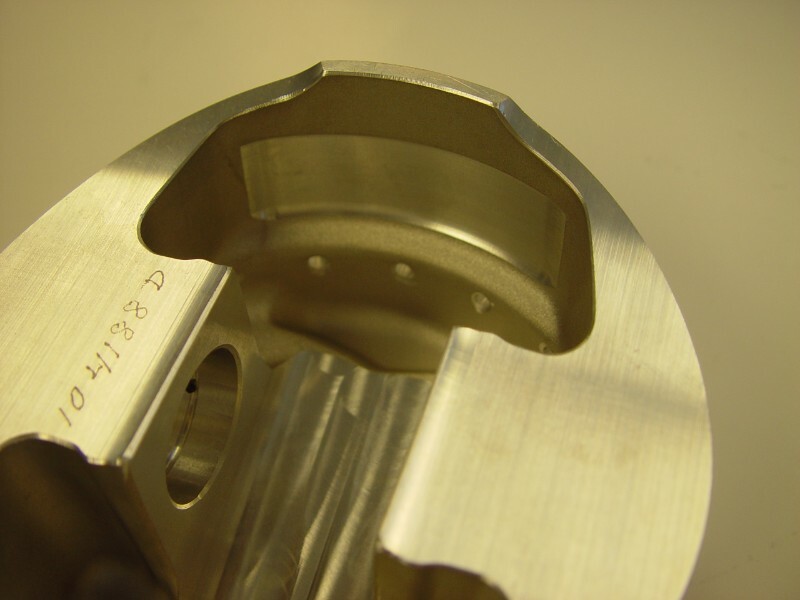 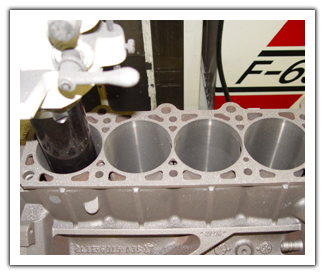 The finish we put on is a plateau finish which aids in piston ring sealing capabilities. 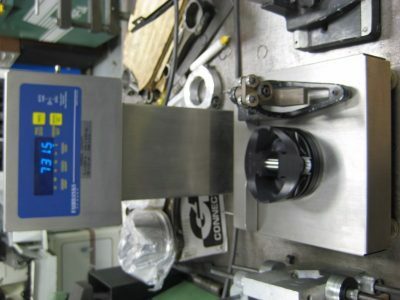 The Sunnen DCB200 is the new generation of computerized crankshaft balancers. This machine spins the crank up to 500 RPM for out of balance cranks. 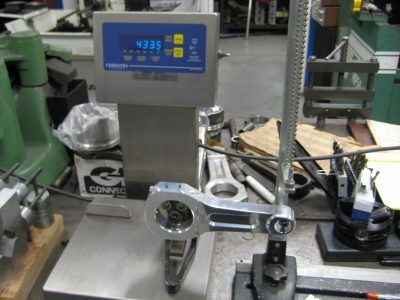 This it spins up to 800 RPM for a more precise balance. 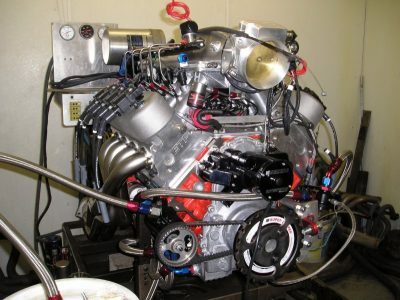 On this machine we can handle just about anything including V6's, V8's, and flywheels. 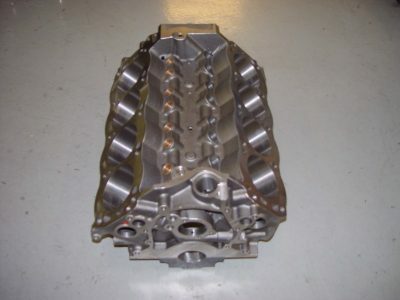 Also, we can take an externally balanced crankshaft and use heavy metal to create an internally balanced crankshaft. 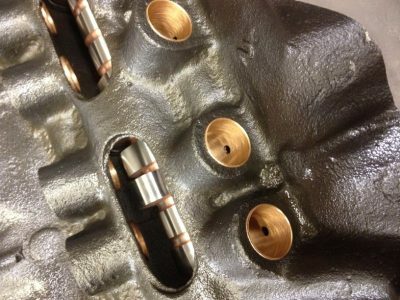 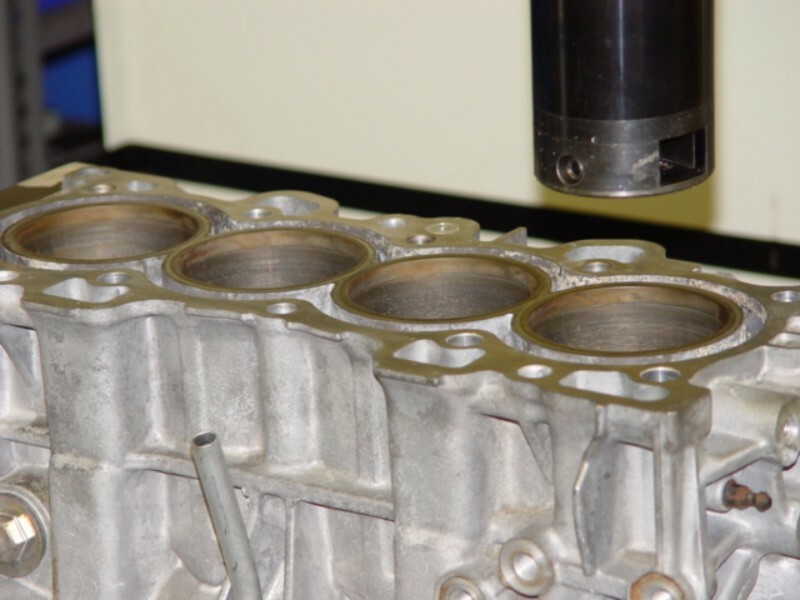 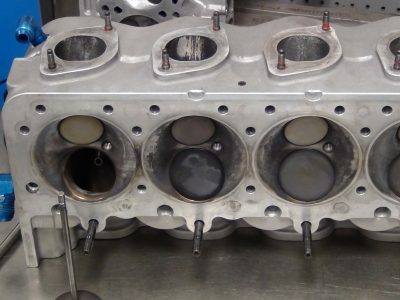 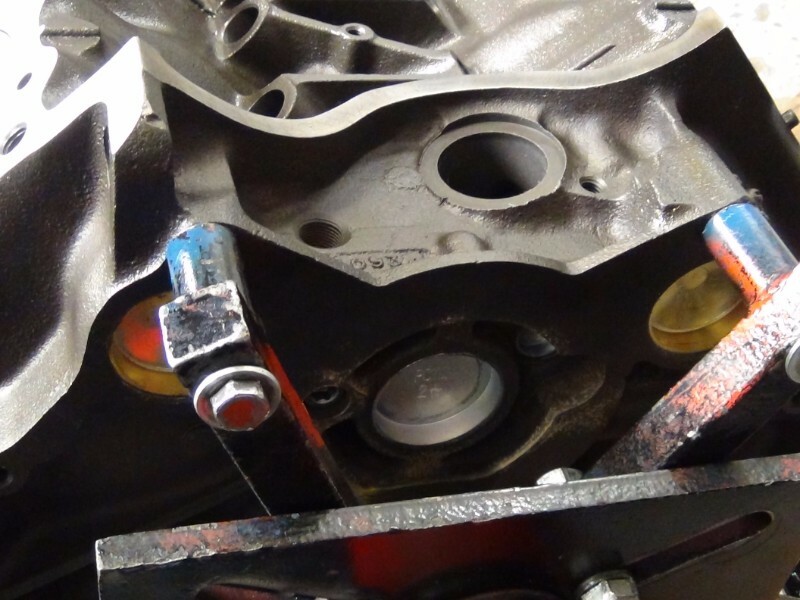 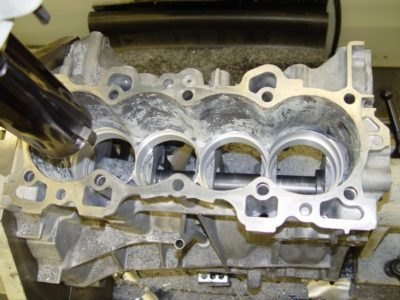 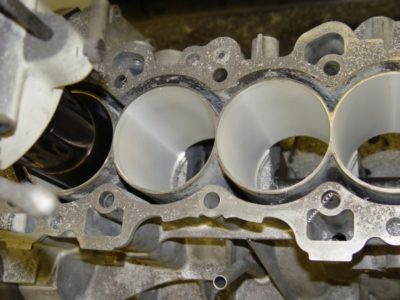 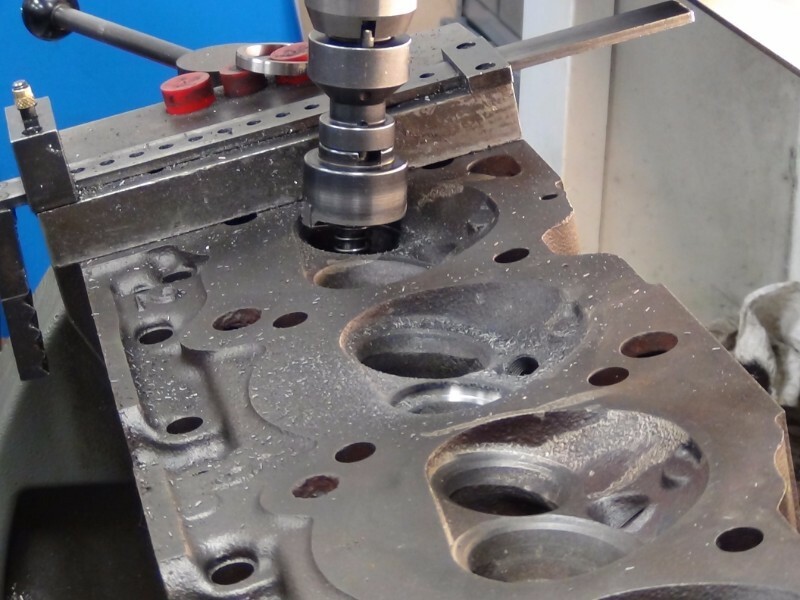 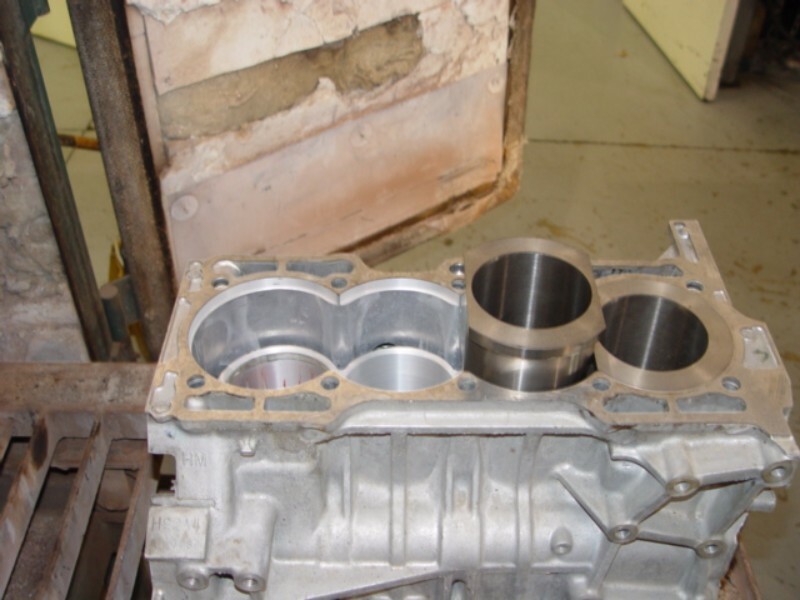 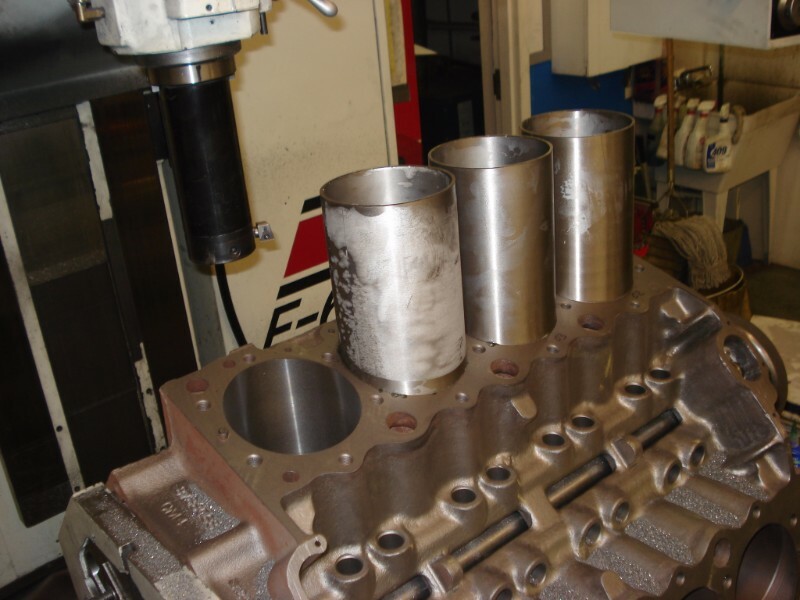 Part of the process of porting cylinder heads is measuring the airflow of the ports. 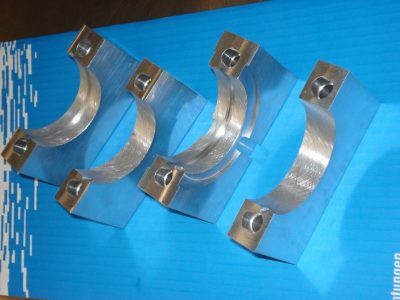 Here we can verify our work and the results. In addition to cylinder heads we use this to measure the airflow of an intake manifolds. 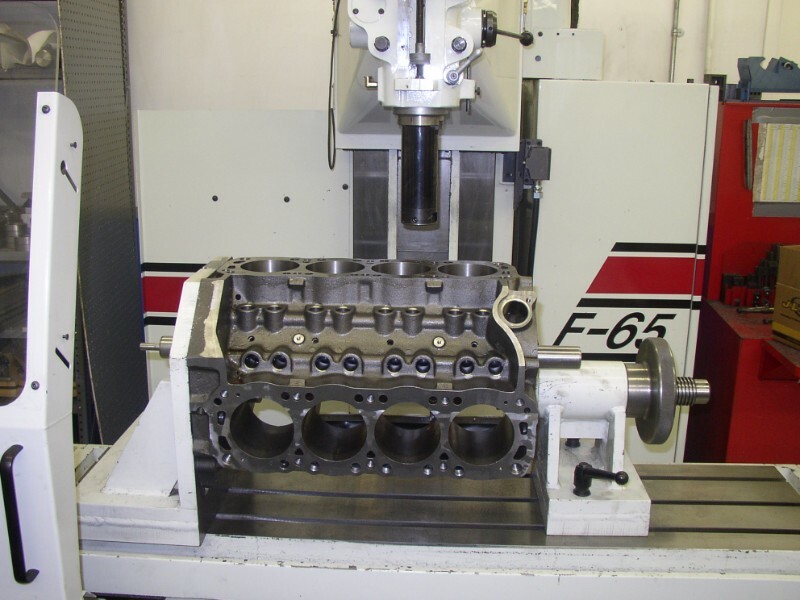 The values we obtain with this machine is important when selecting the proper camshaft. 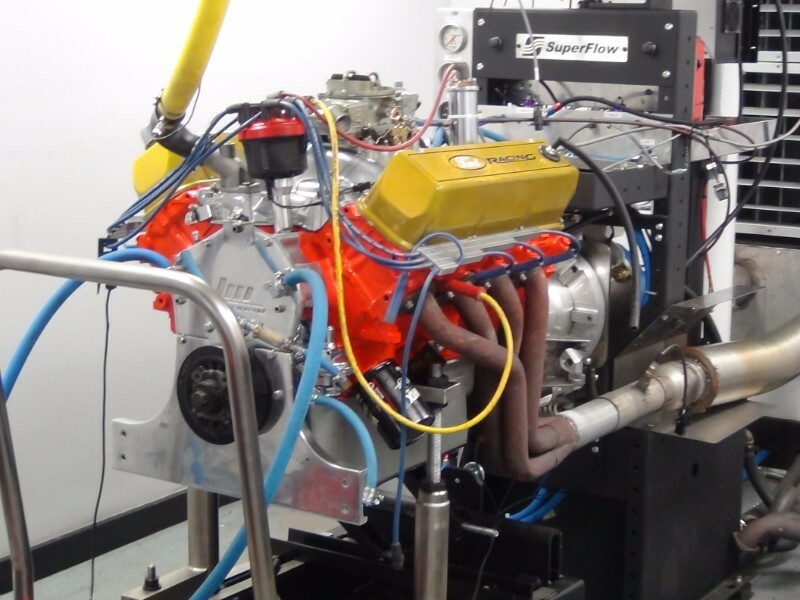 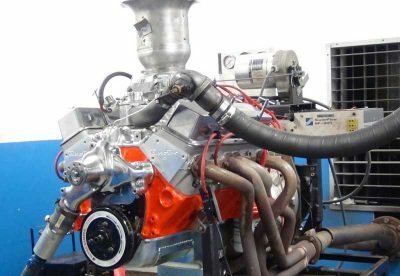 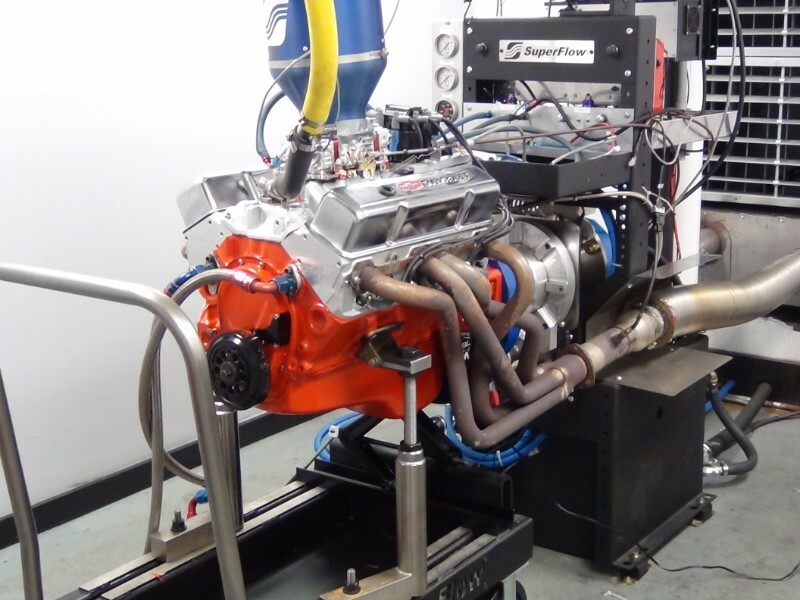 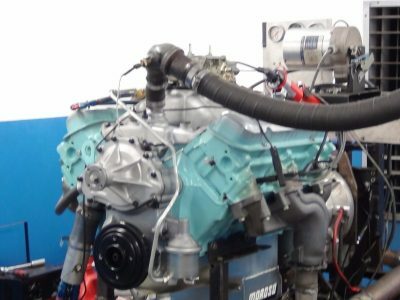 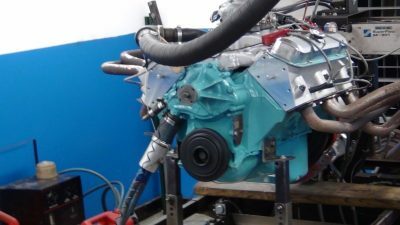 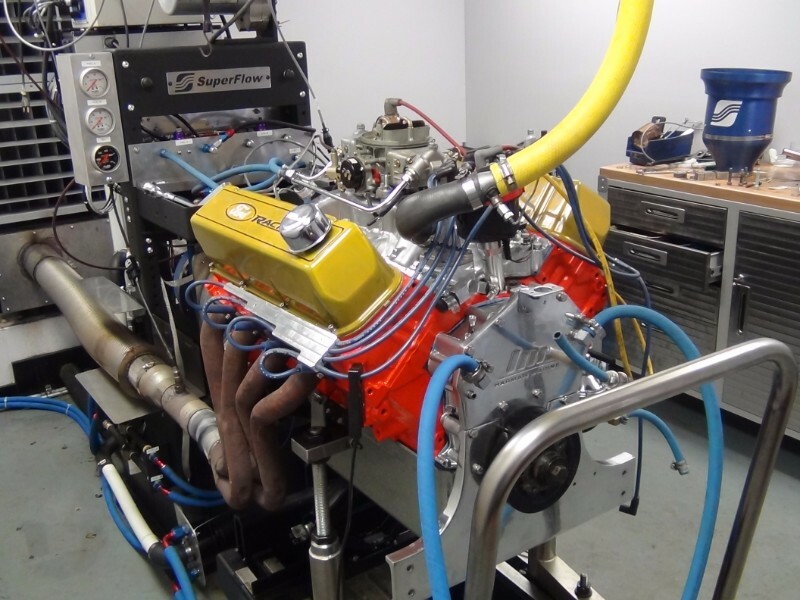 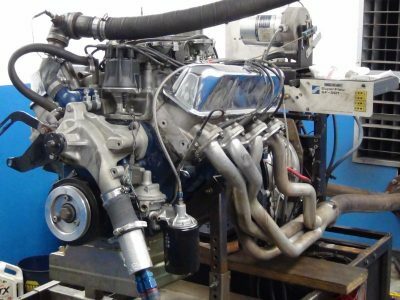 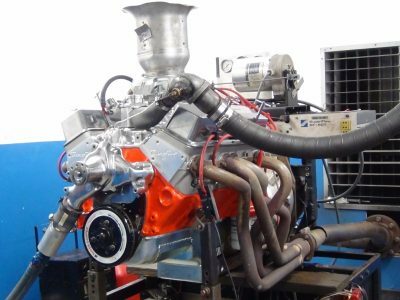 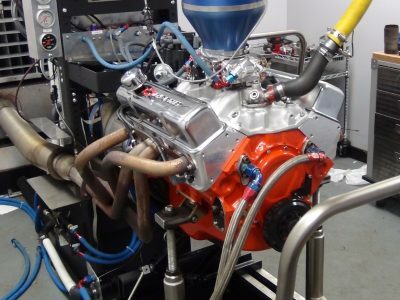 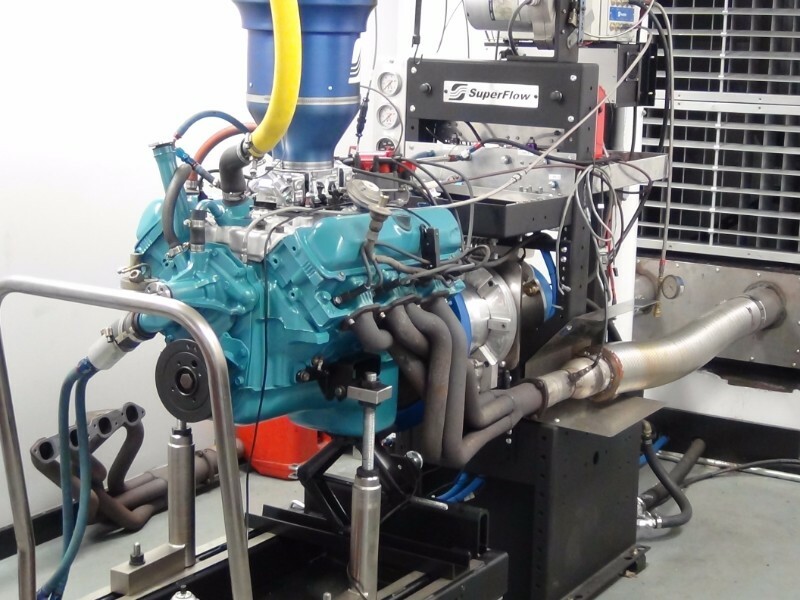 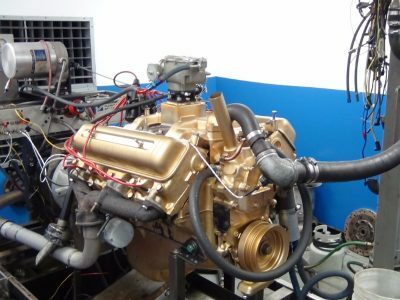 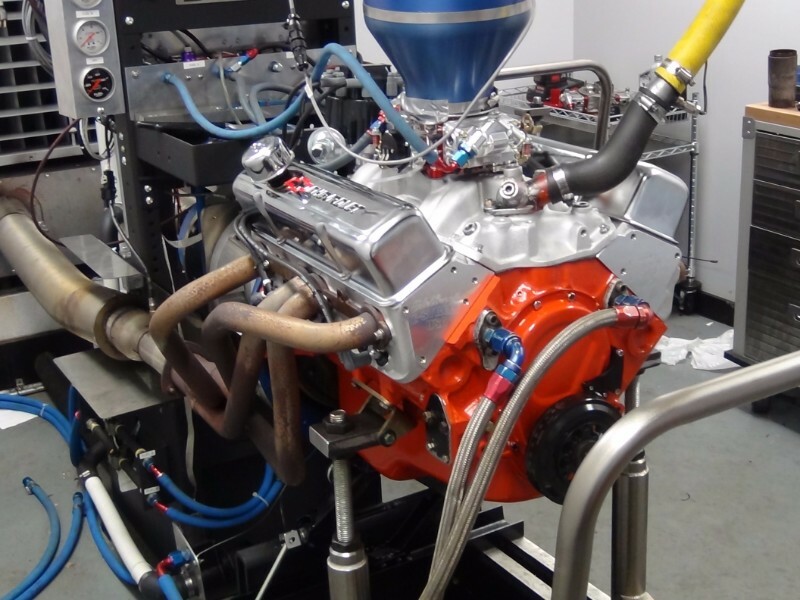 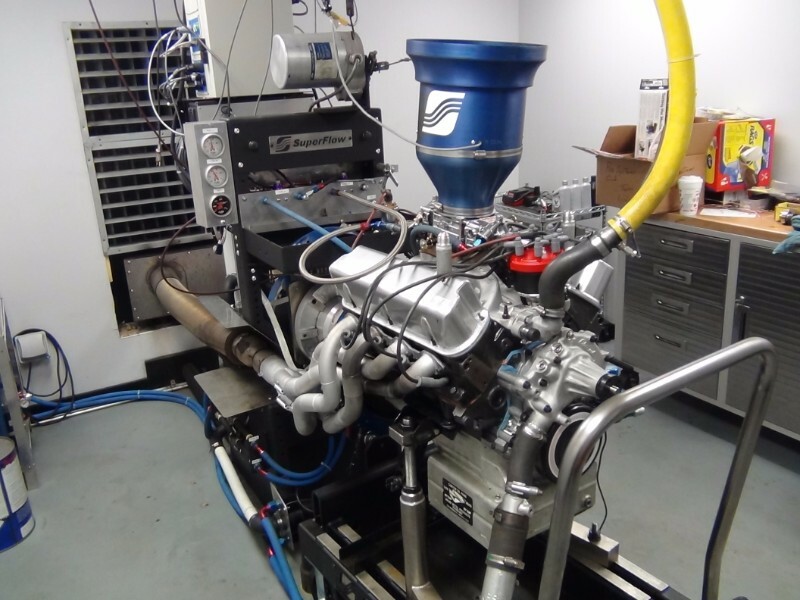 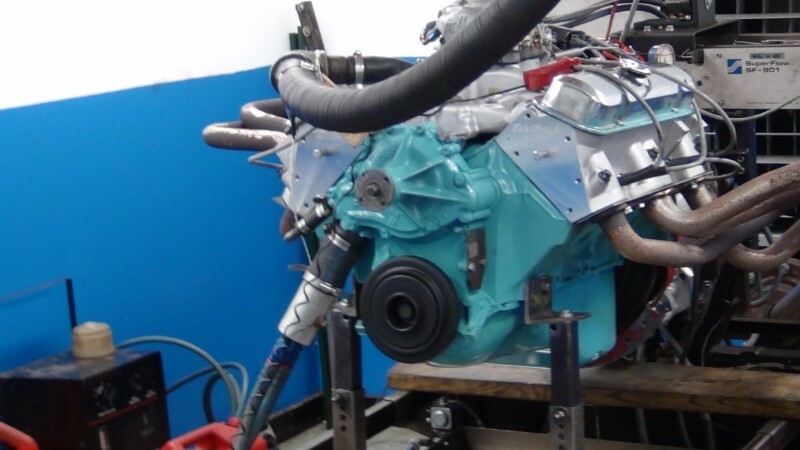 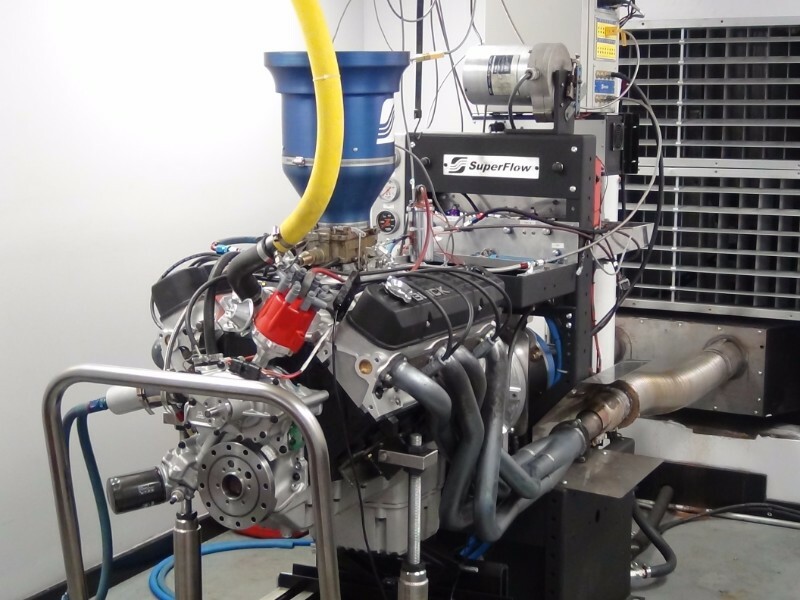 There's more to an engine dyno than just finding out torque and horsepower. Sure, the dyno is an awesome tool for that. 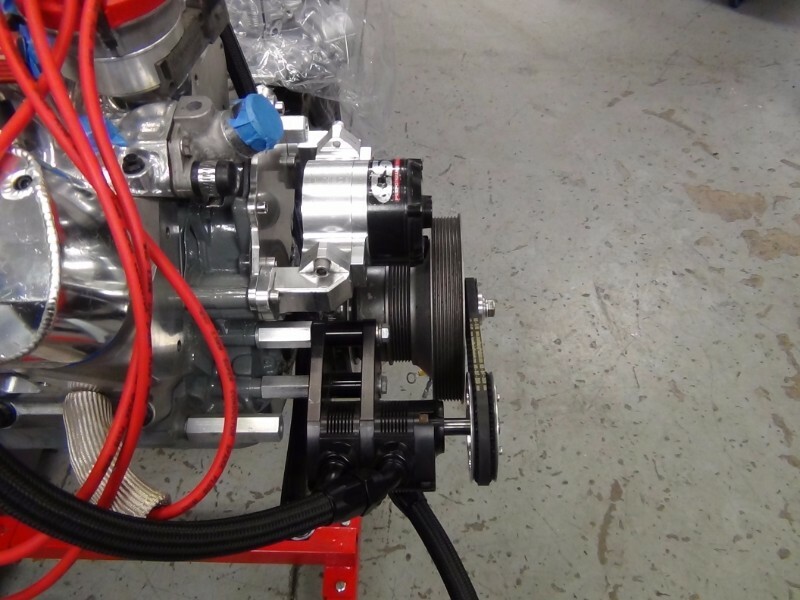 We can make changes to the components of a motor to find out the best way to increase horsepower. 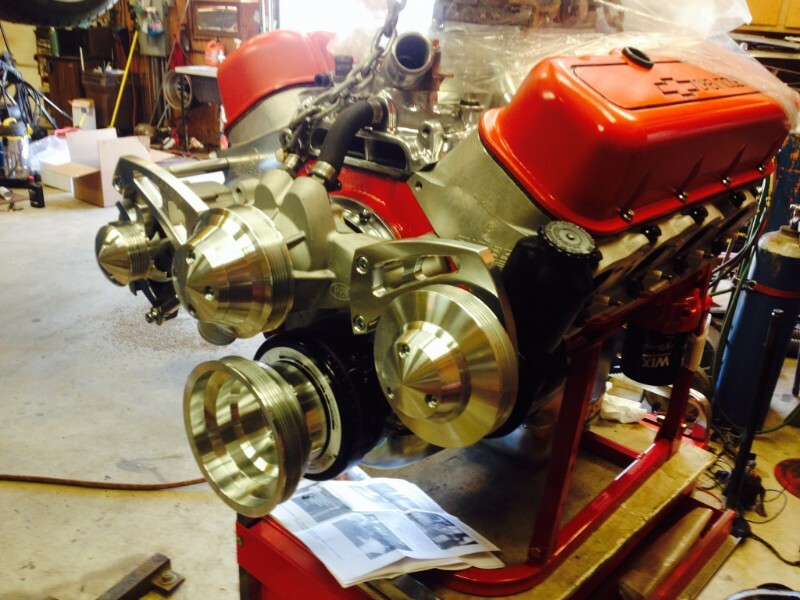 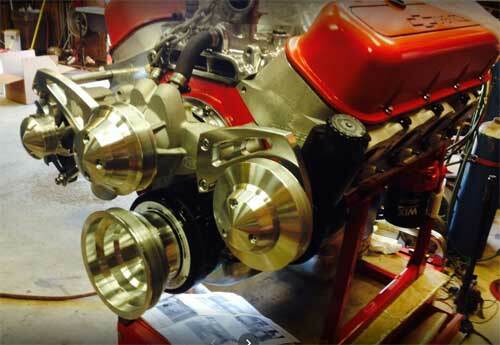 We can do carburetor adjustments and timing adjustments. 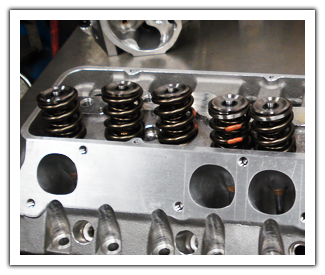 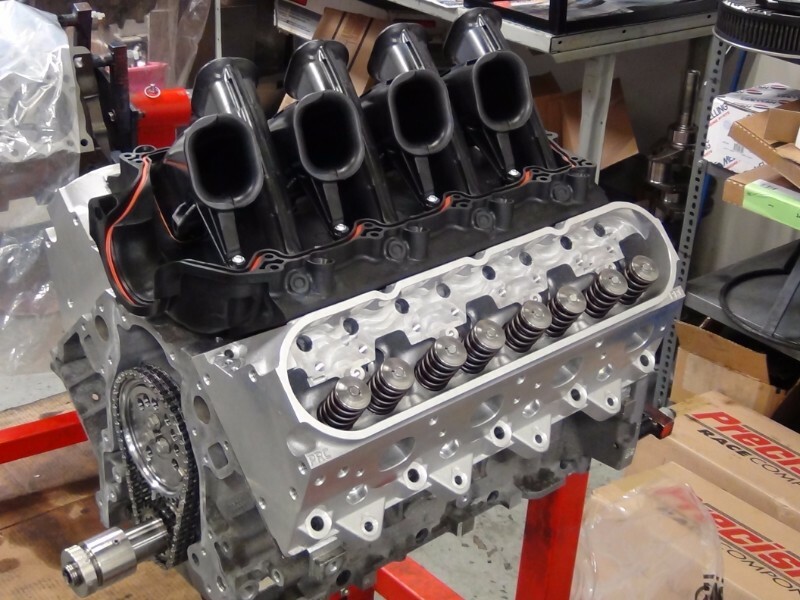 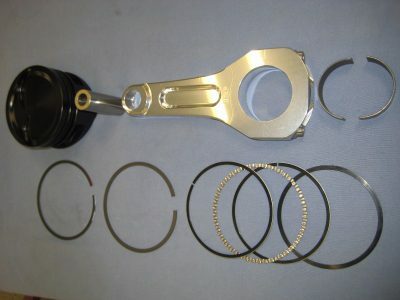 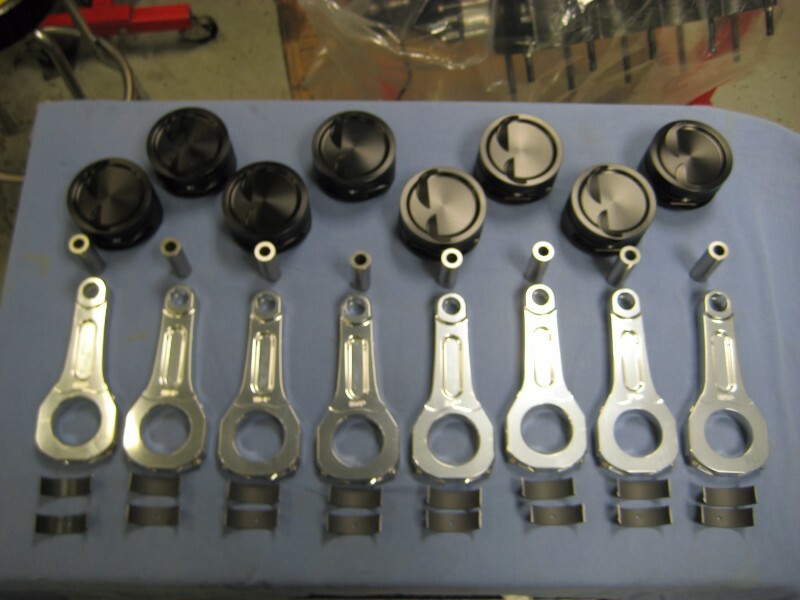 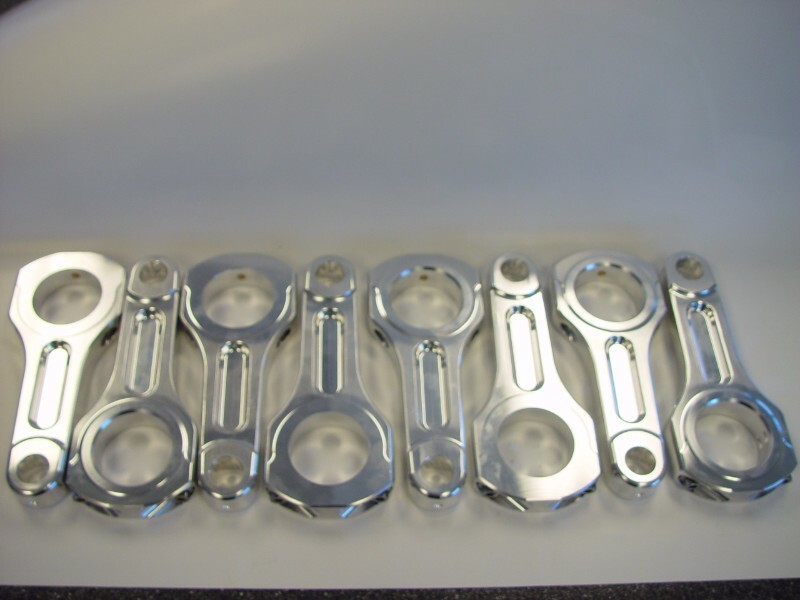 We can do more intricate changes such as changing the camshaft and rocker arms. 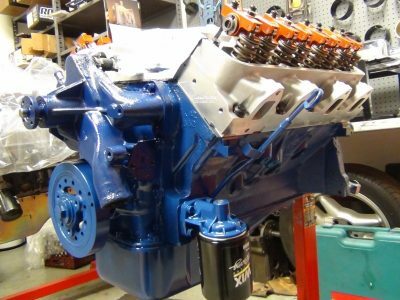 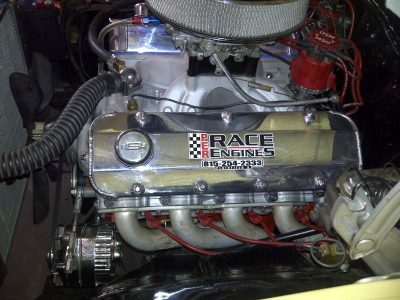 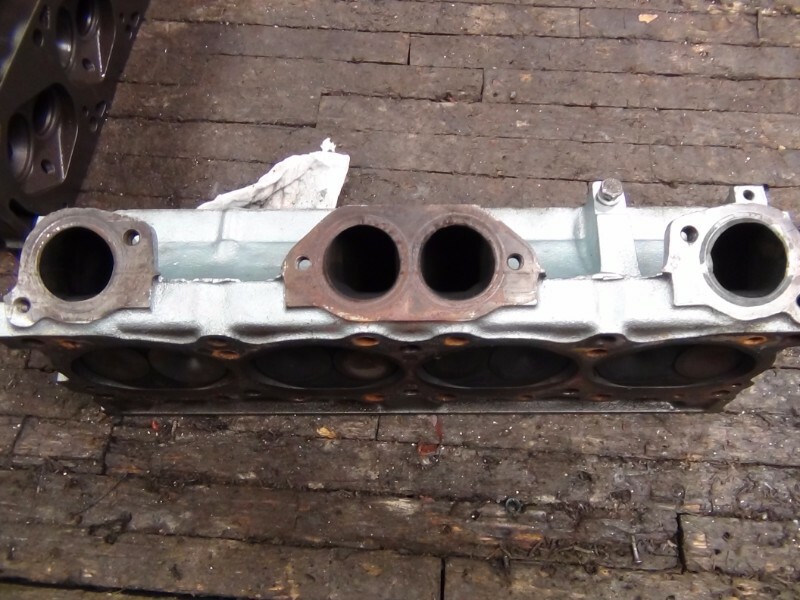 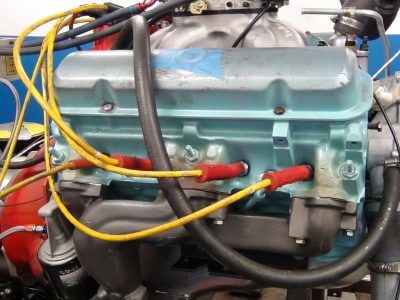 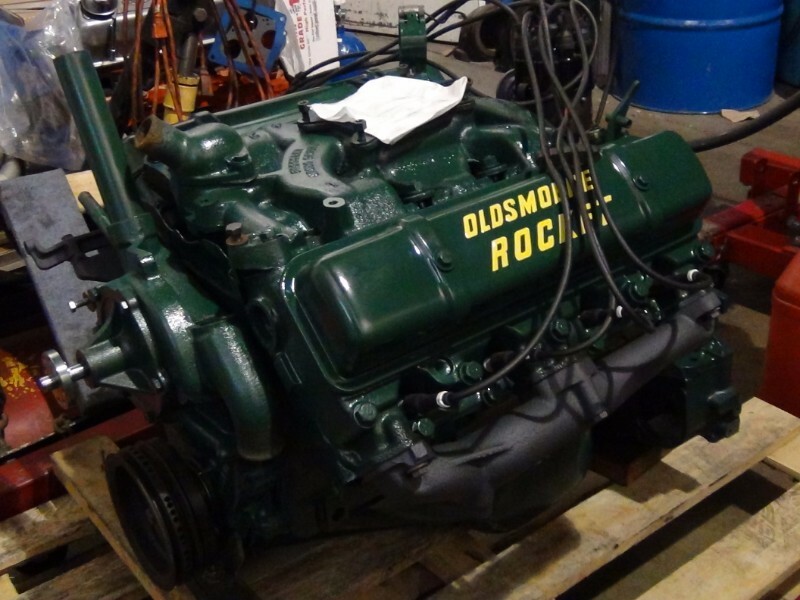 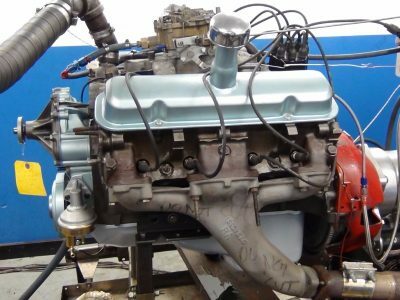 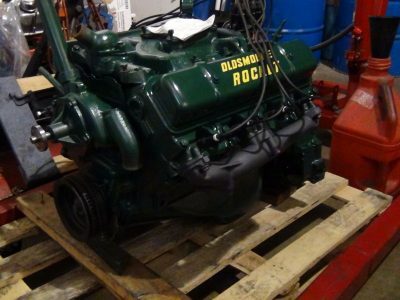 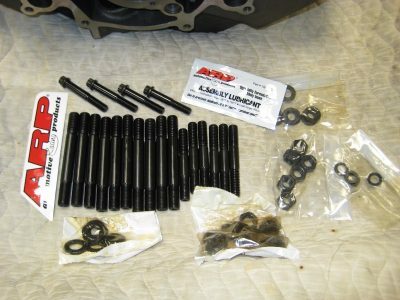 Changes to headers and collector sizes can have a major affect on horsepower. 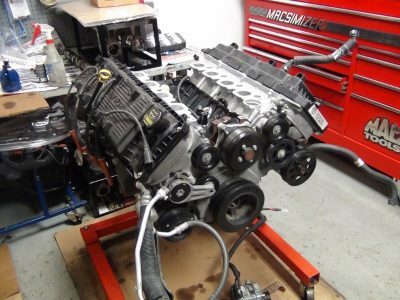 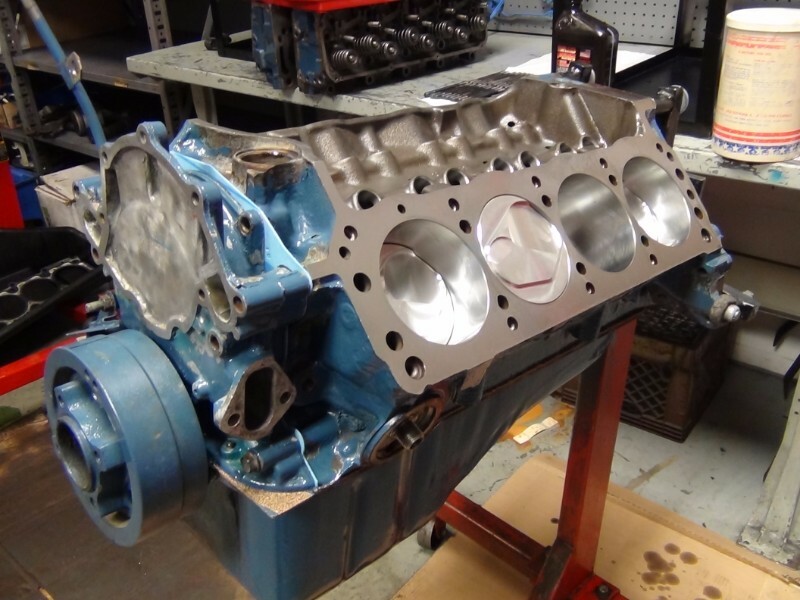 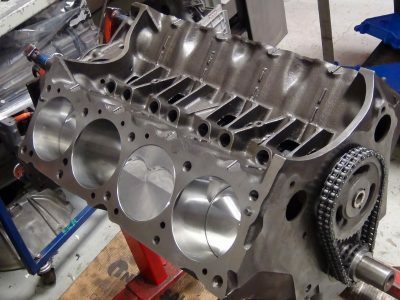 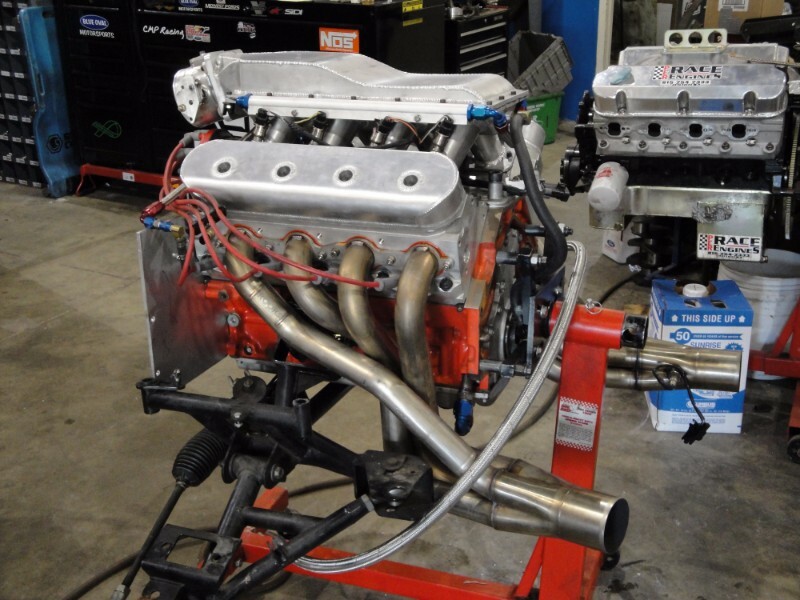 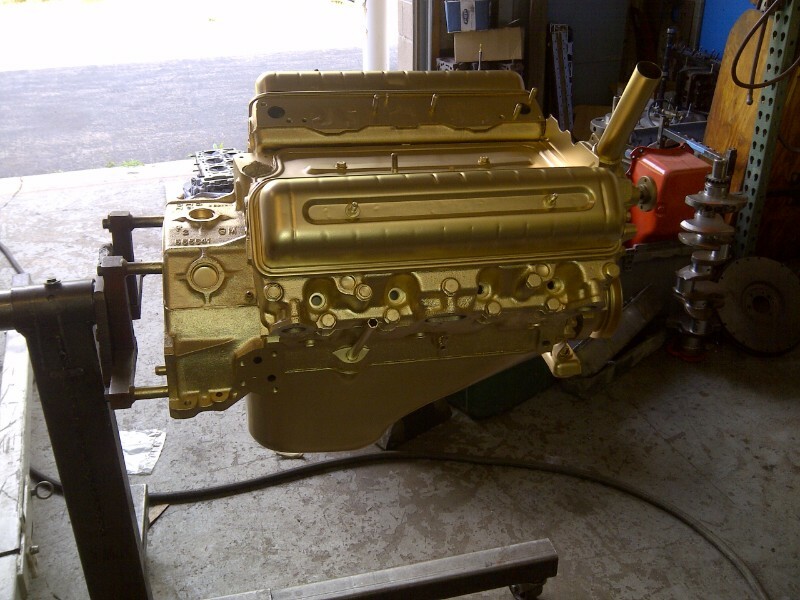 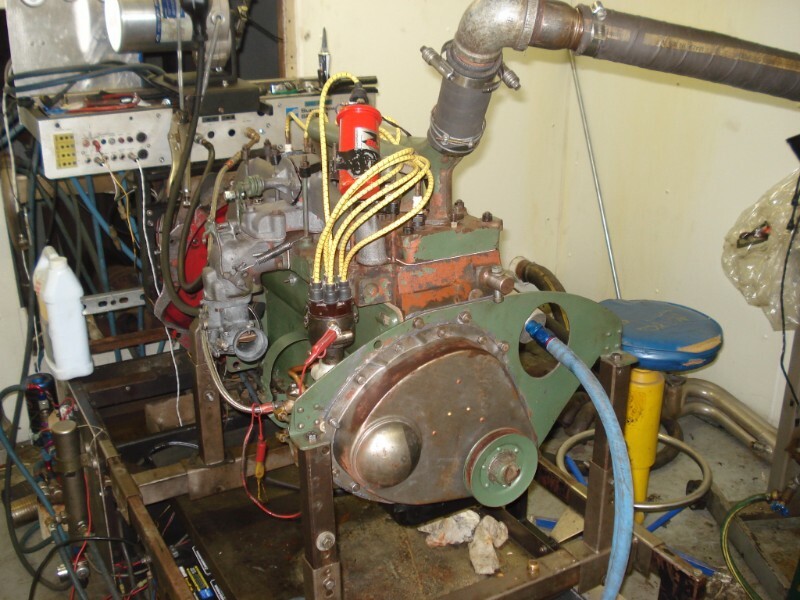 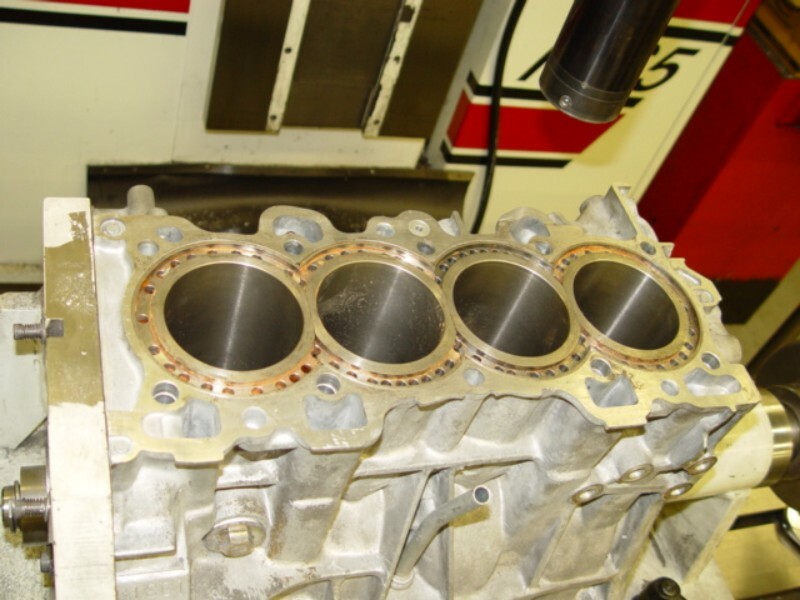 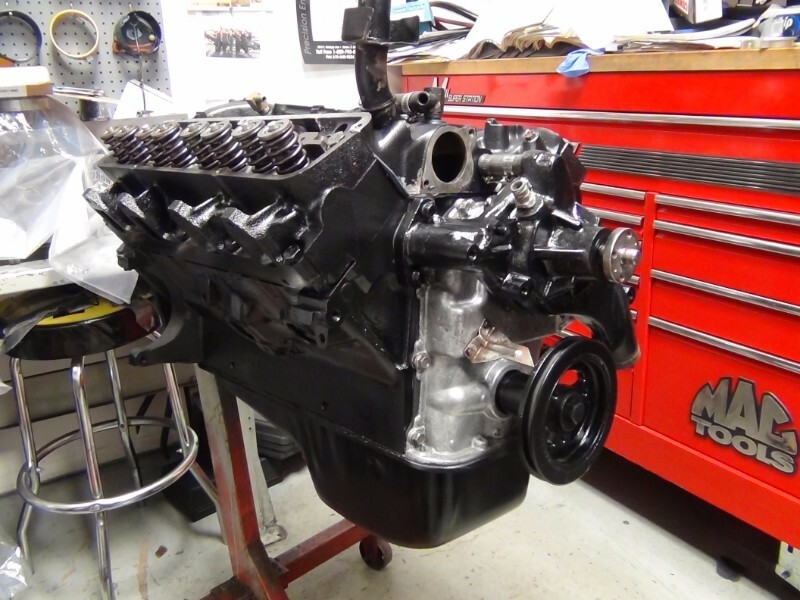 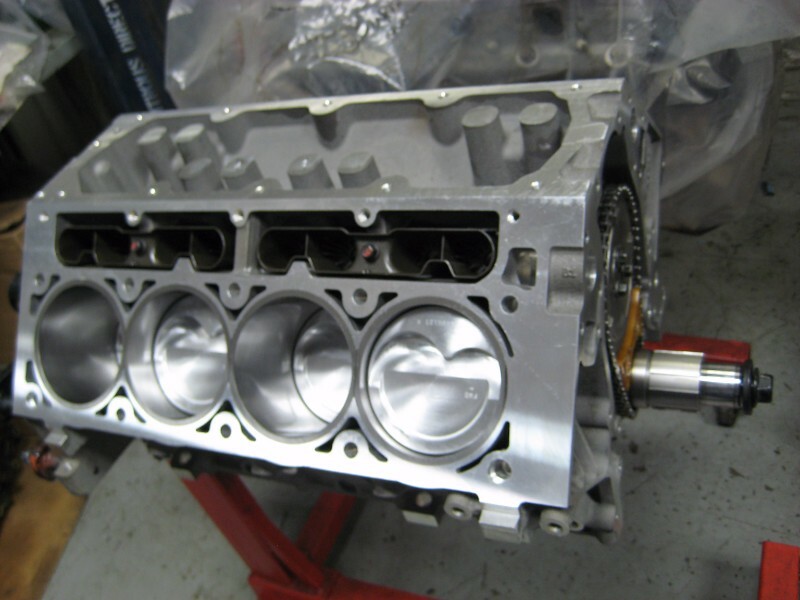 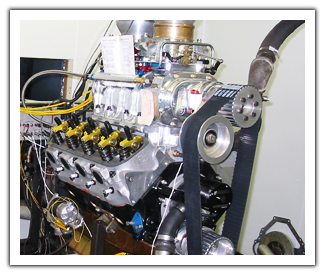 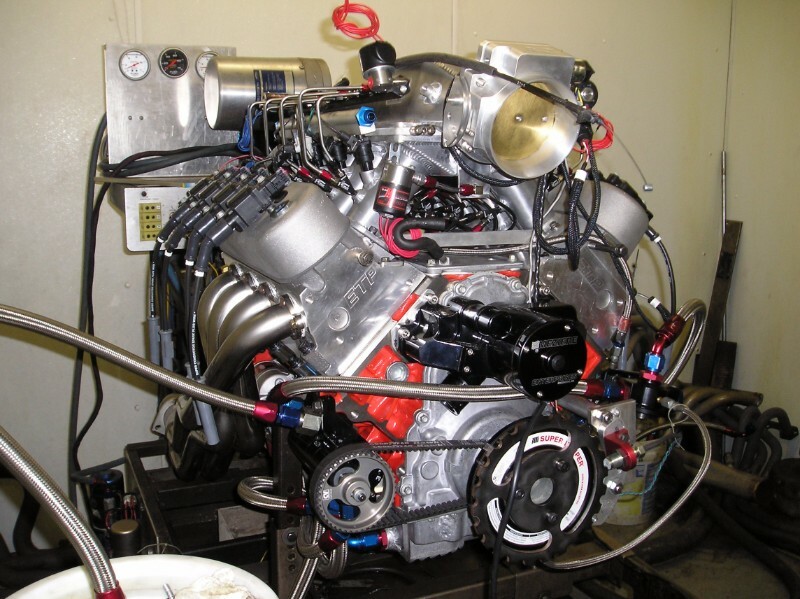 We also use the engine dyno to break in new camshafts and rings and test oiling systems. 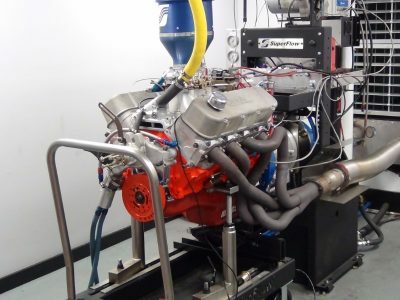 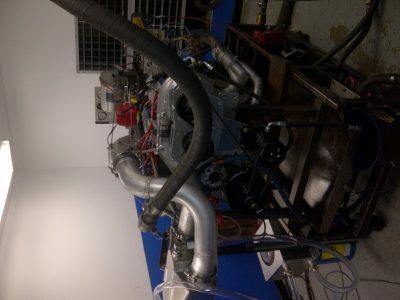 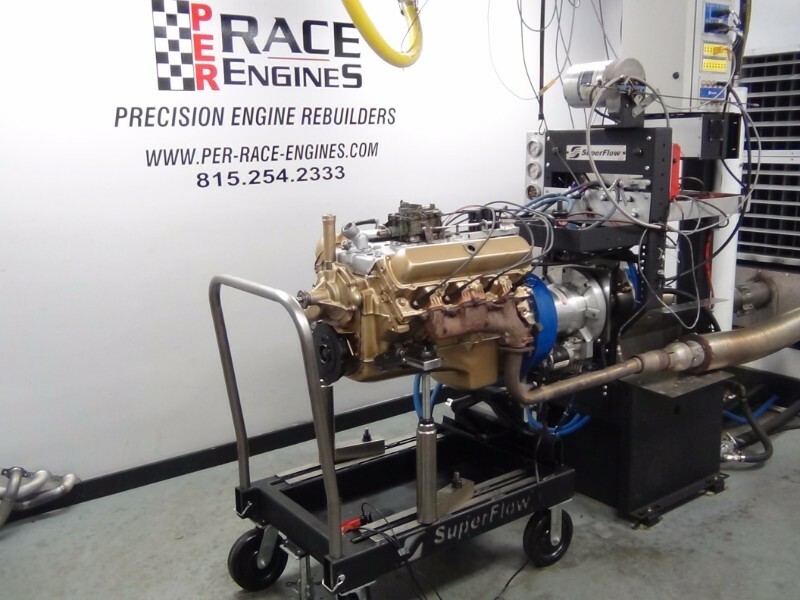 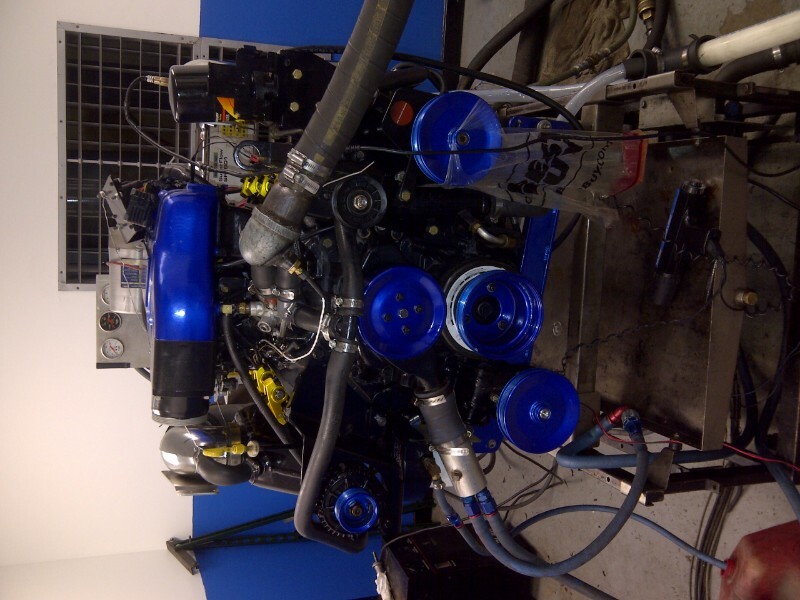 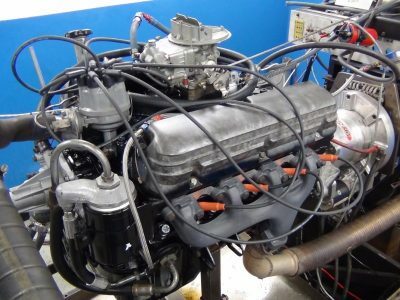 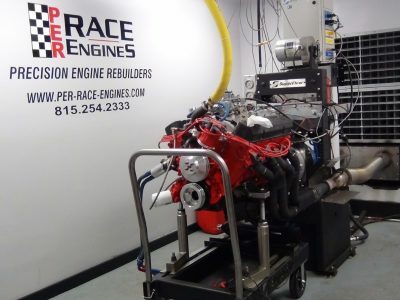 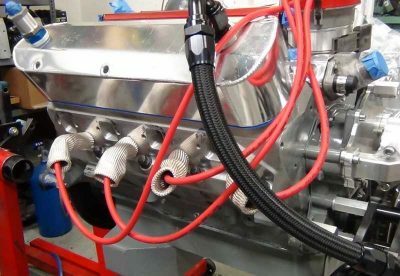 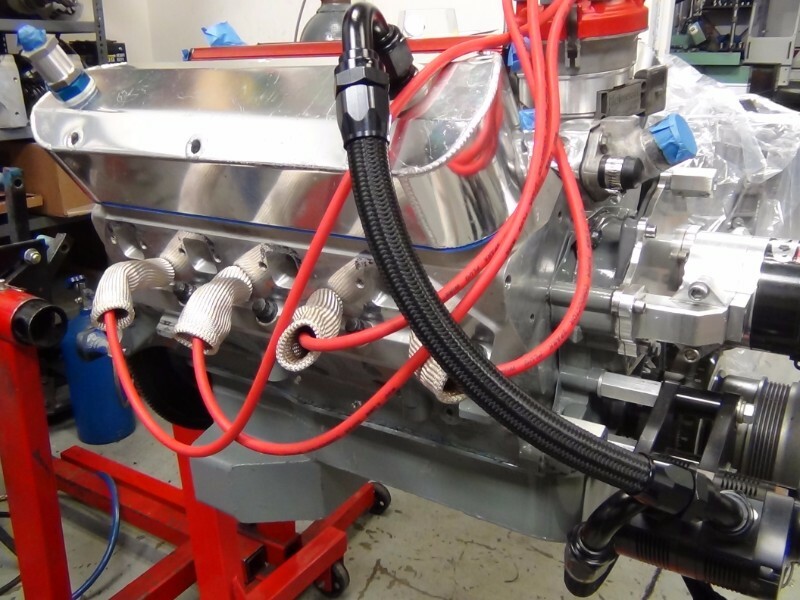 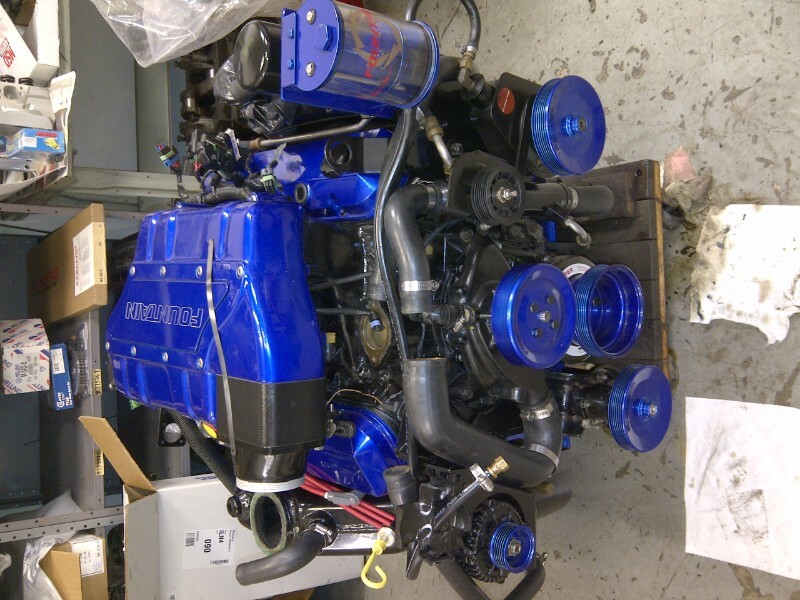 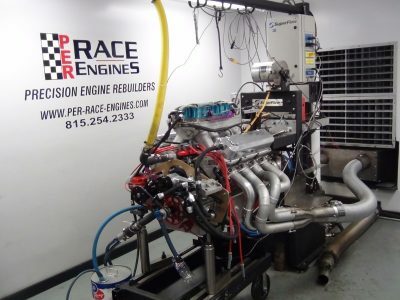 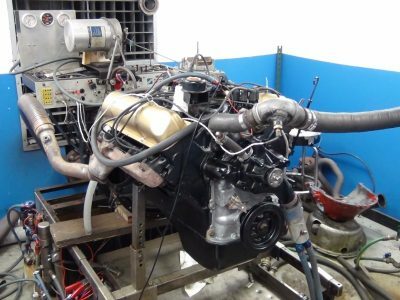 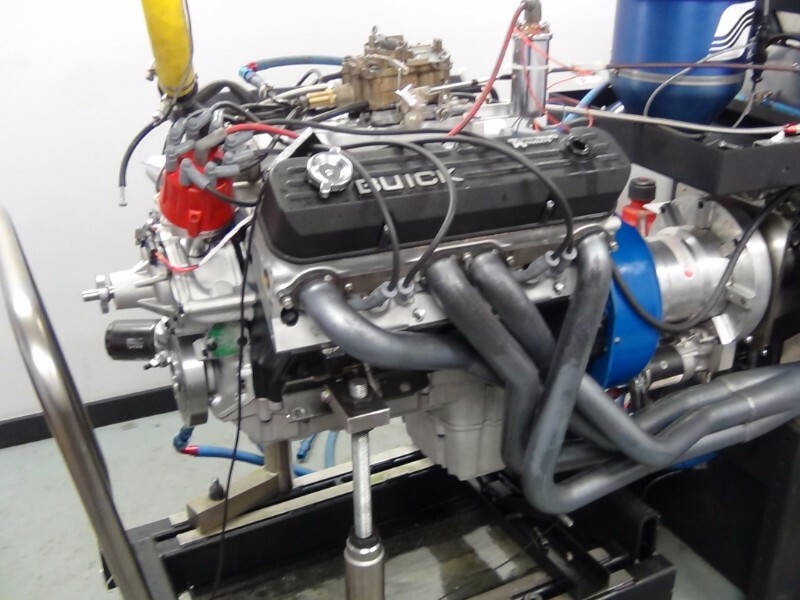 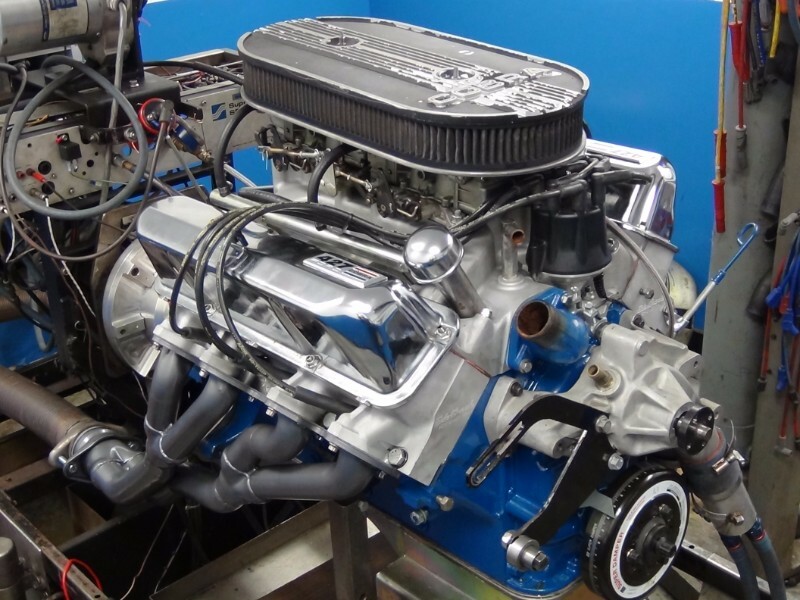 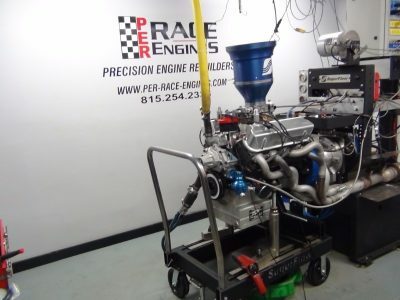 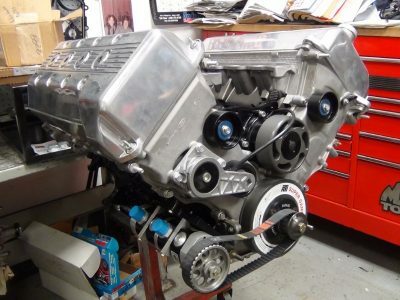 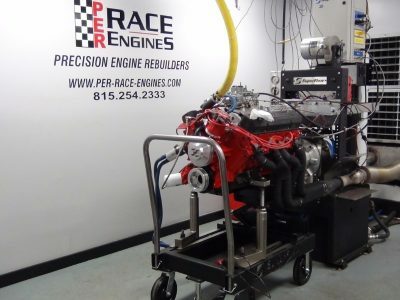 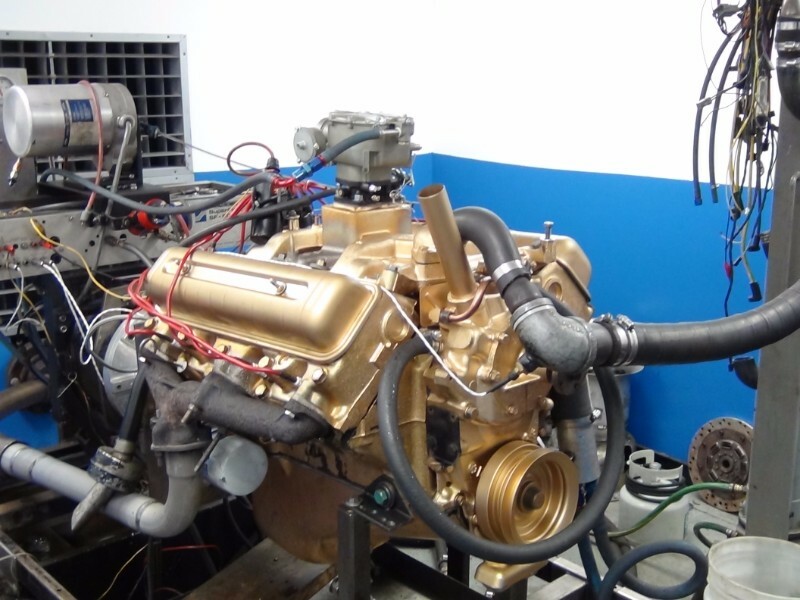 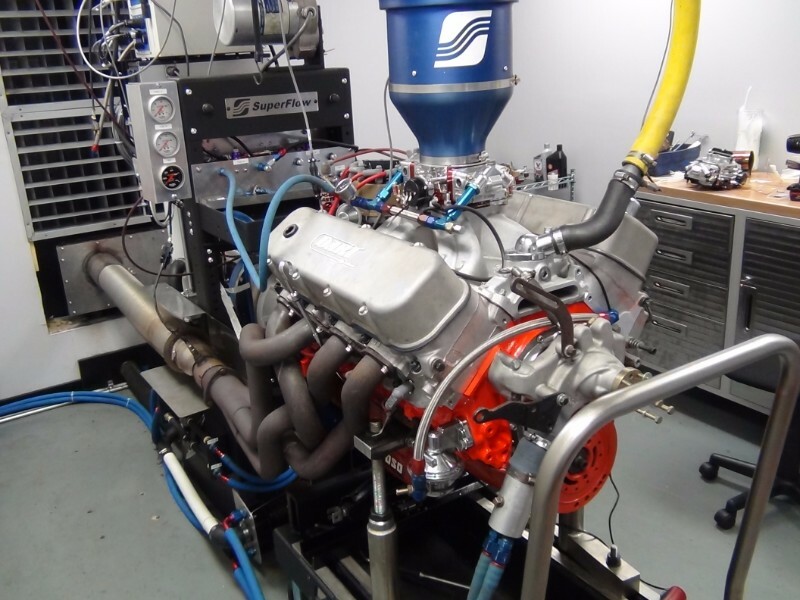 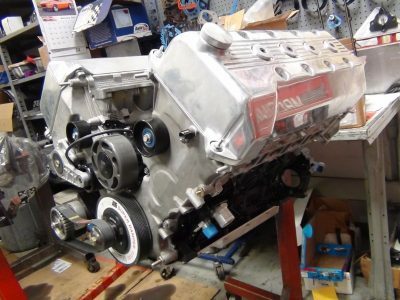 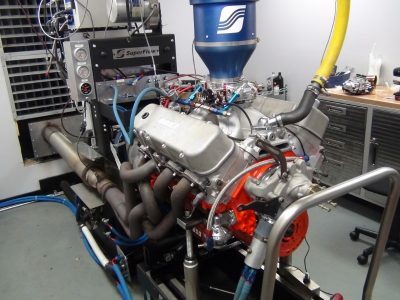 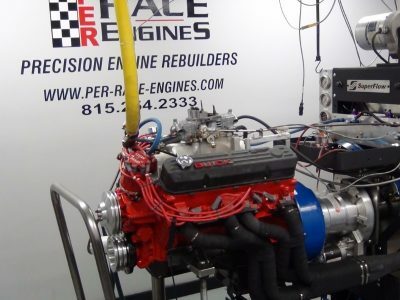 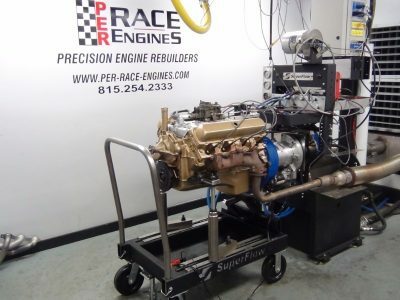 So, if you choose to let us build your motor, we highly recommend letting us test it on our engine dyno. 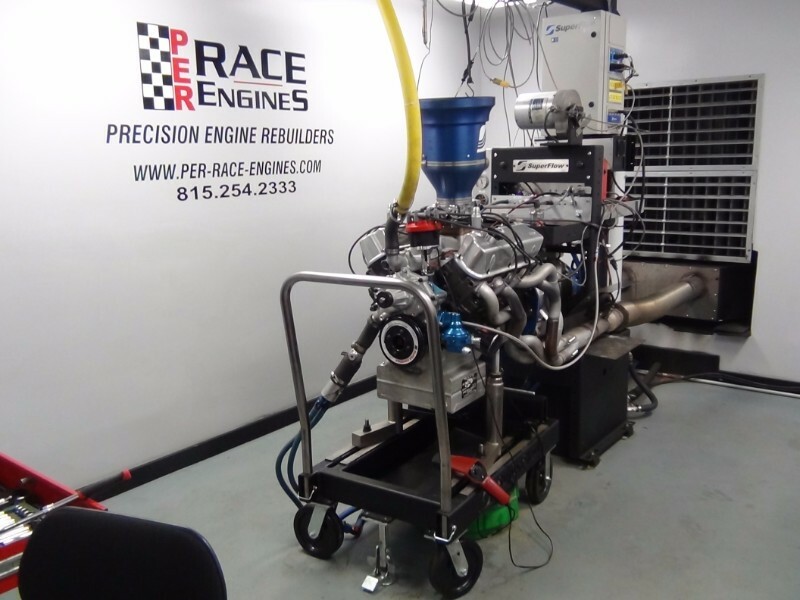 When we talk about track performance, we are not just talking about drag racing. PER has built motors for road racing, oval track, drag racing and even marine racing. 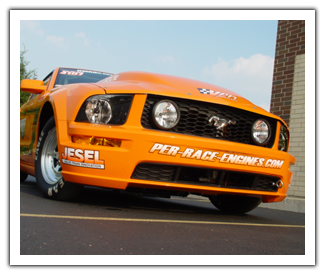 We have cars that run in NMRA, NMCA, IMSM, and IRHA, just to name a few. 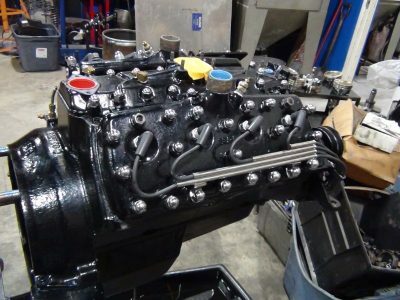 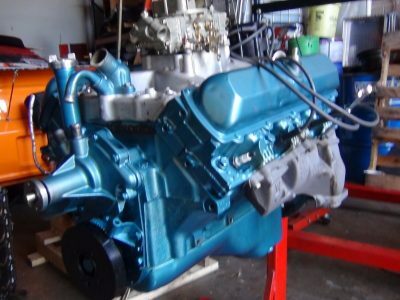 If you are an avid fan of any of these associations, then you have seen a PER engine perform.